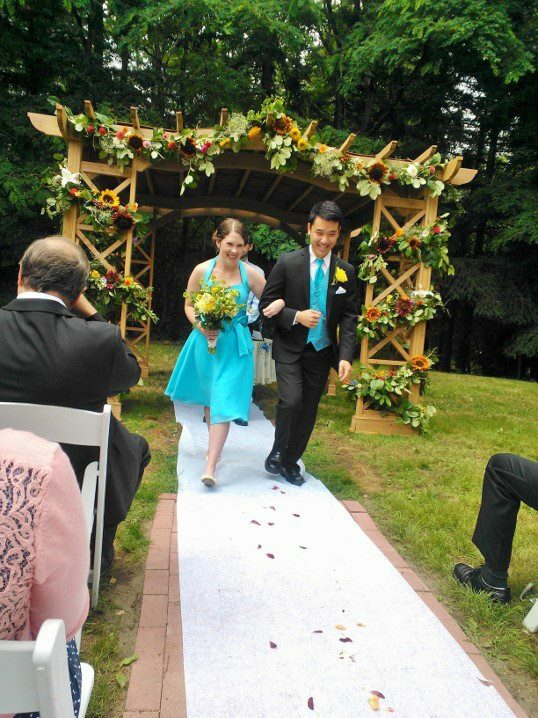 I ended my last post with looking back on my brother’s wedding ceremony a month ago (to get caught up see: The Wedding). After the ceremony we left the Moseng house and headed to the Sons of Norway downtown Poulsbo. 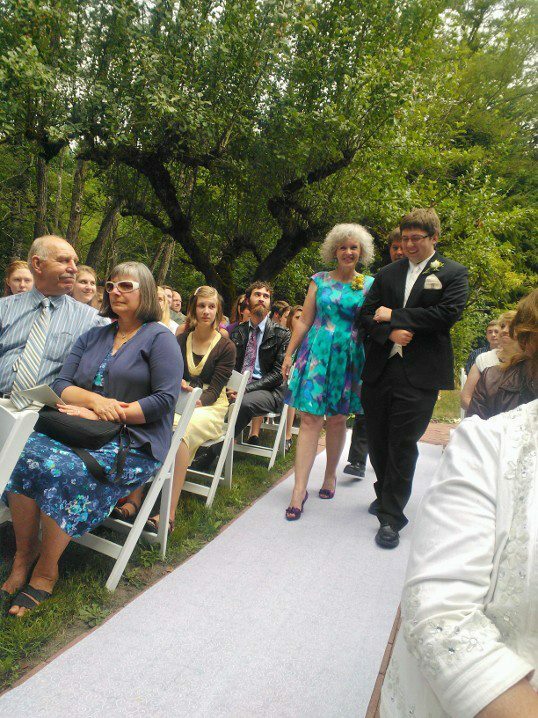 Luke and I carpooled with my in-laws and arrived quickly after most of the bridal party. 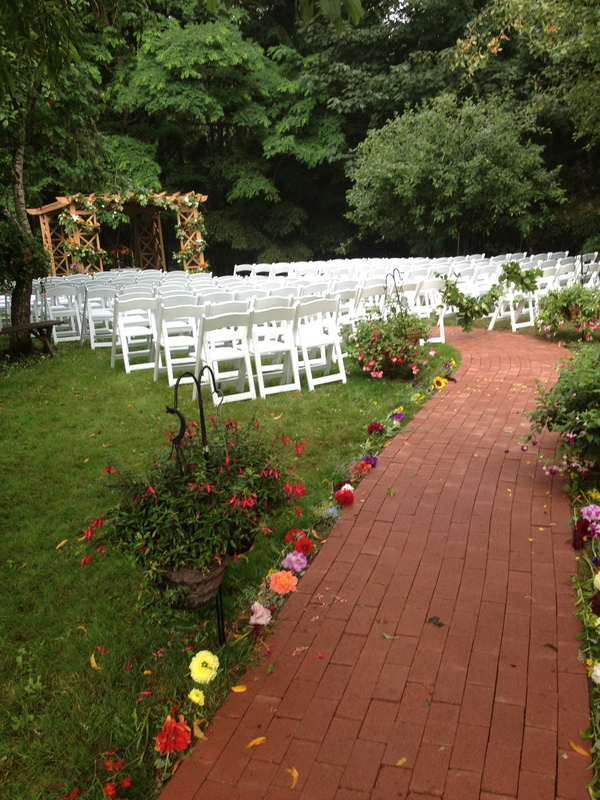 Everything looked wonderful just as we had set it up the night before (see The rehearsal). 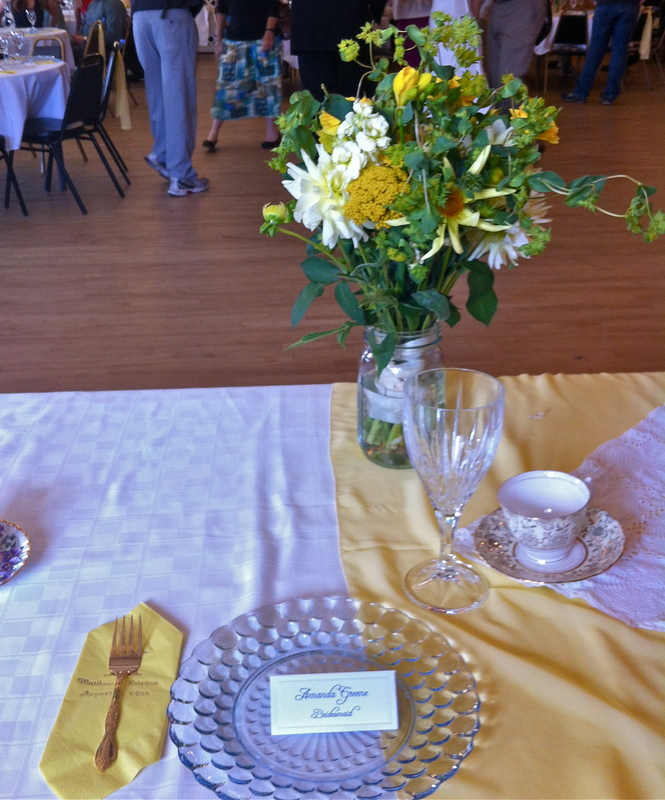 The head table was decorated with a full yellow table cloth and crocheted runner. Mason jars lined the head the table prepped for placing the bridesmaid bouquets in. 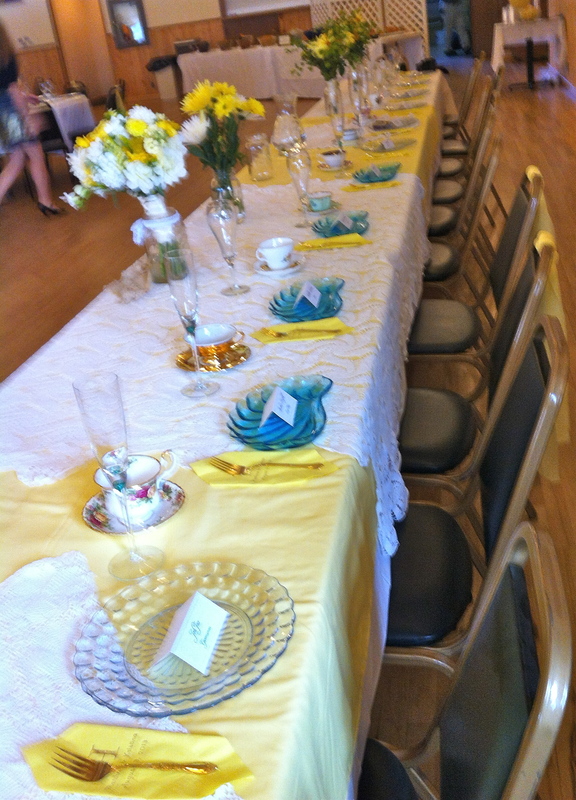 The table was set with an eclectic collection of tea cups and blue glass plates. 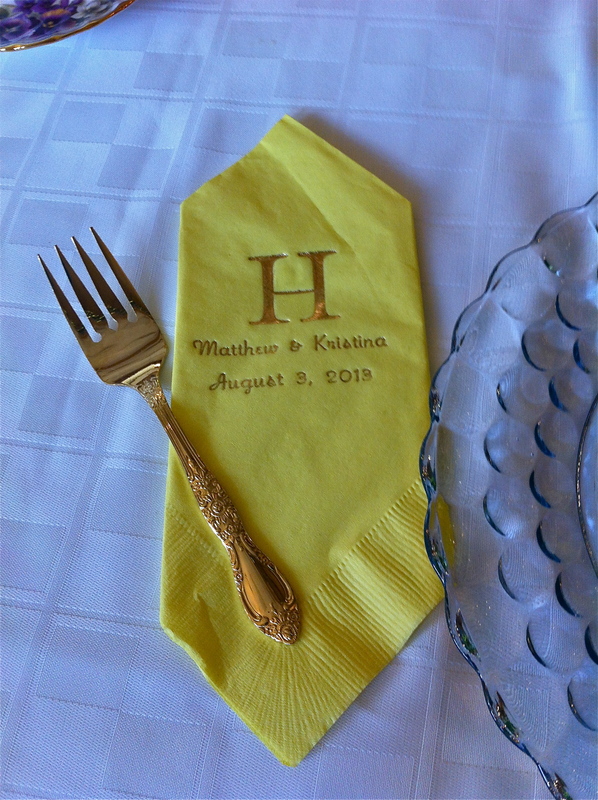 Each yellow monogramed napkin was folded in it’s place. 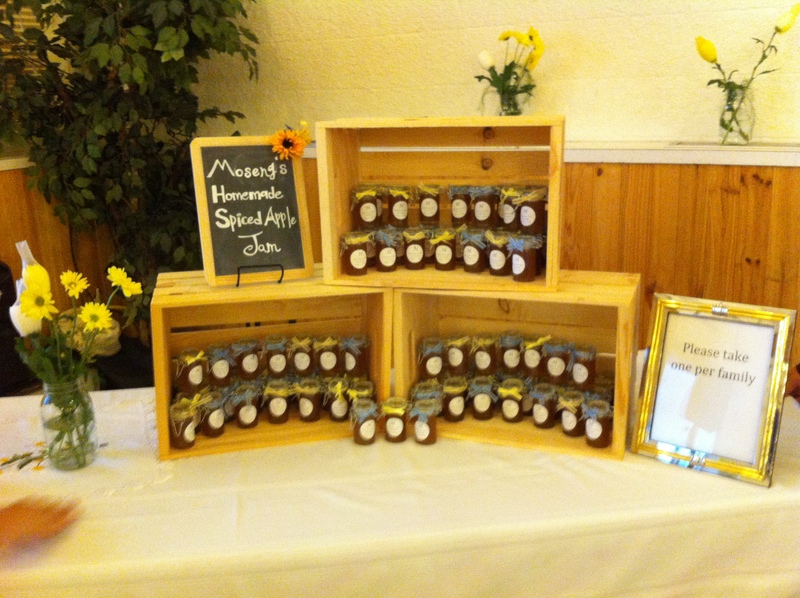 As we settled in I saw the MC/DJ was setting up by the favor table prepped with crates full of mini jars of spiced apple jam. 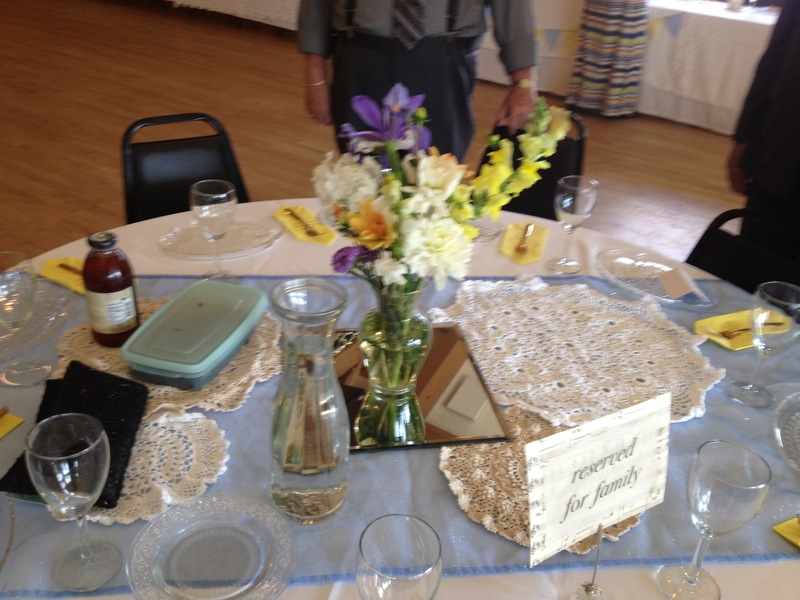 People were beginning to fill into the guest tables and mingle looking at family pictures, signing the guest book, and writing adviced cards. 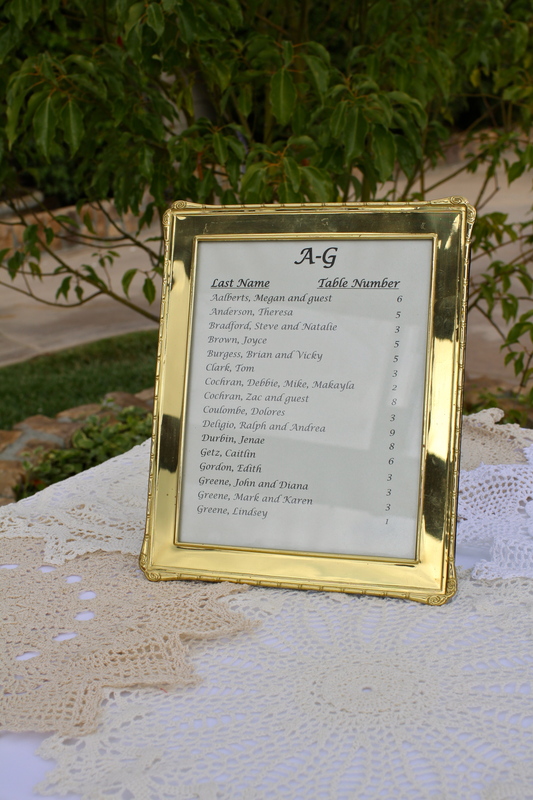 Guests began to line up for coffee punch in glass cups, hot coffee, or tea. Once drinks were served the line for the create-your-own snack at the trail mix bar grew quickly. 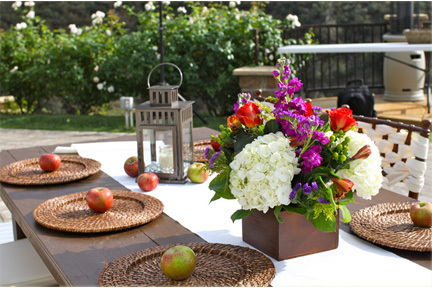 When all the guests arrived, the wraps, sandwiches and fruit salad were laid out and once again a food line began to form. 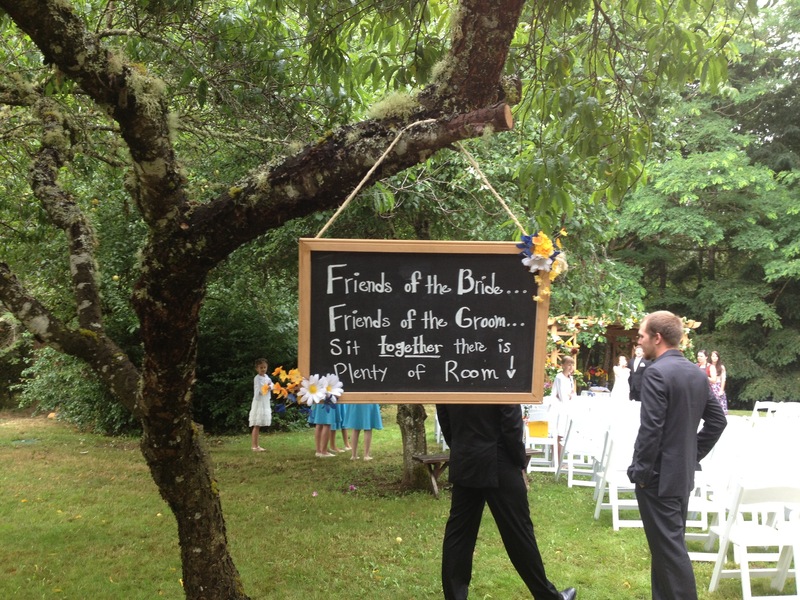 Once the bride and groom had arrived the fun began. 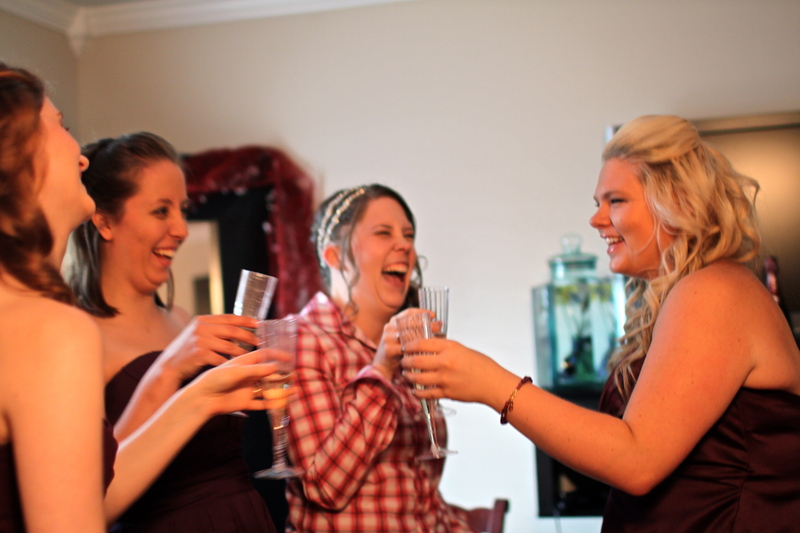 Sparkling Cider was poured for all guests as Stina’s father, her sister, and my brother’s Best Man Andy gave toasts. 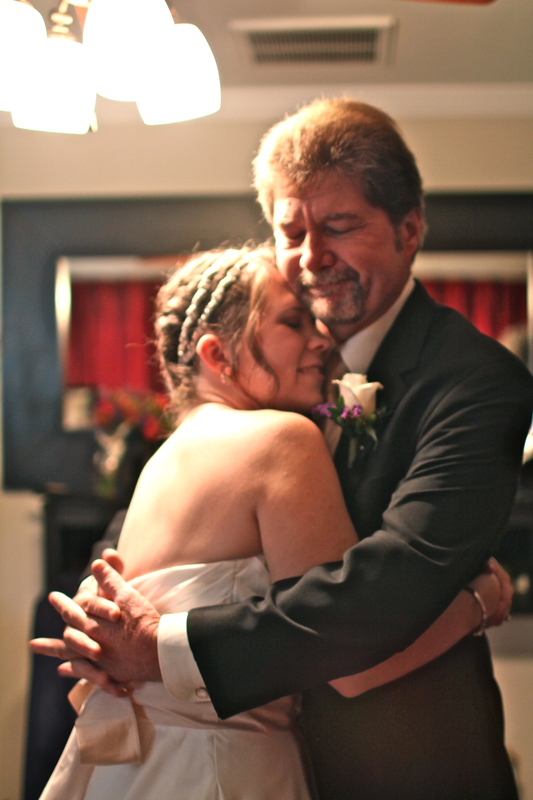 Following Matt and Stina had their first dance then Stina danced with her father and last my brother danced with my mother. Then all married couples were asked on the dance floor. During a basic waltz the MC called out numbers if a couple had been married less than that number they were asked to leave the dance floor. Luke and I knew enjoyed our 45 second dance then twirled off when “one” was announced. 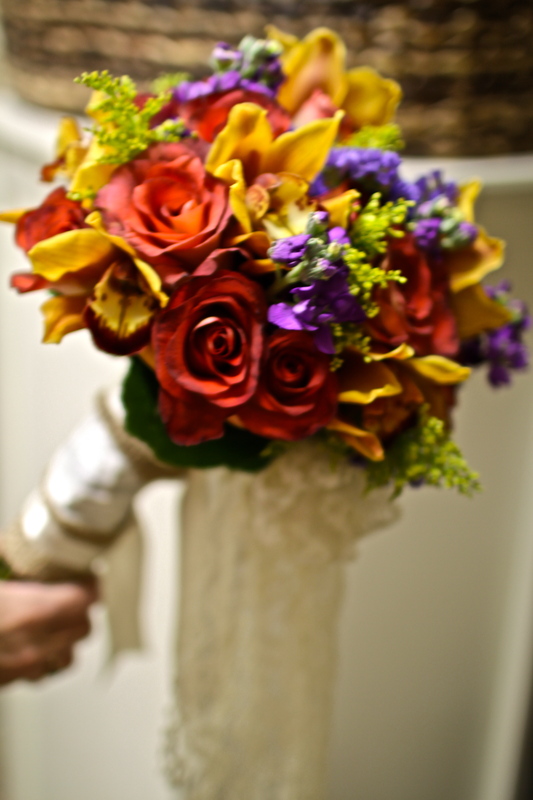 The last remaining couple had been married more than 60 years and Stina gave them one of the bridal bouquets. After this the traditional folk dancing began. All the Moseng siblings and their now spouses danced together. Then the Moseng parents joined in another couples dance. Last it was our turn. Stina’s mother Lisa came to the mic to instruct us as all were welcomed on the dance floor to learn a few Norwegian folk dances. 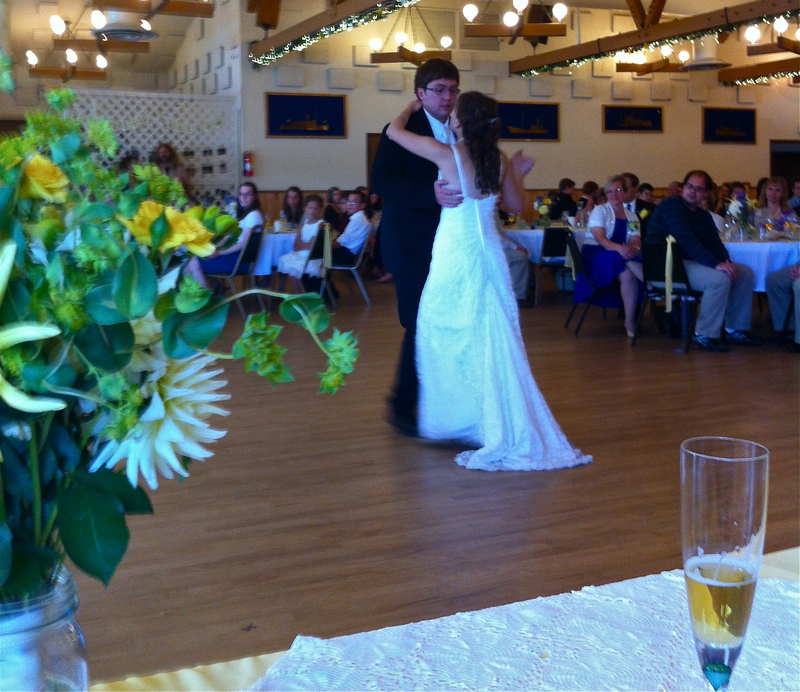 The first dance was basic, taught to the first graders but by the third or fourth dance the number of steps had increased dramatically. 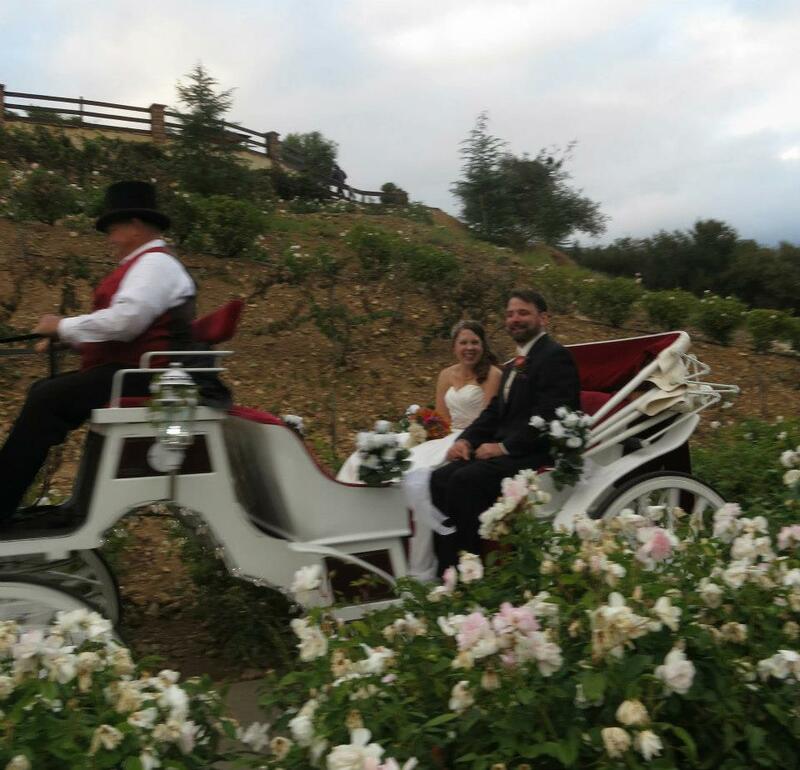 Although there were many mistakes and moments of confusion it was a great way to meet other wedding guests and share in the local and family culture. 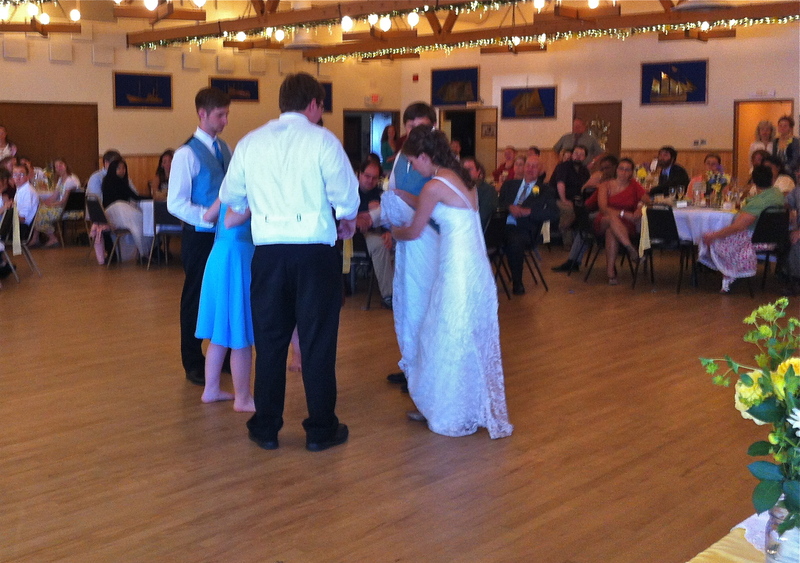 After trying to do a “Grand March” through the many people on the dance floor the folk dancing ended. 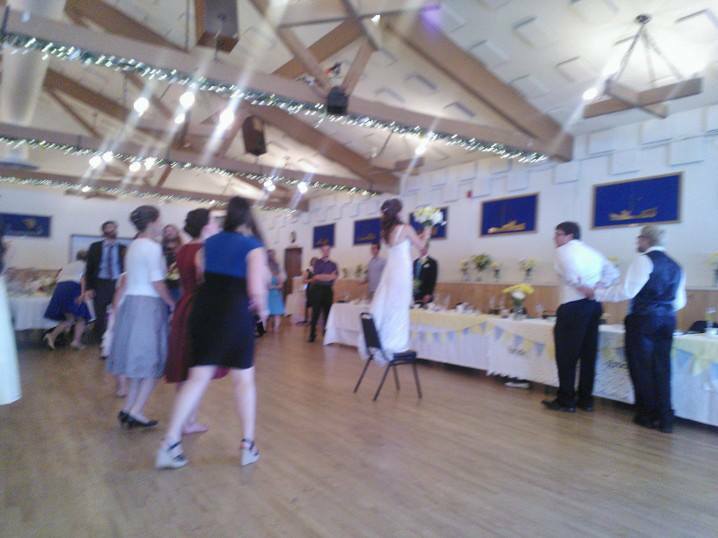 Stina and Matt of course also did the bouquet and garter toss. 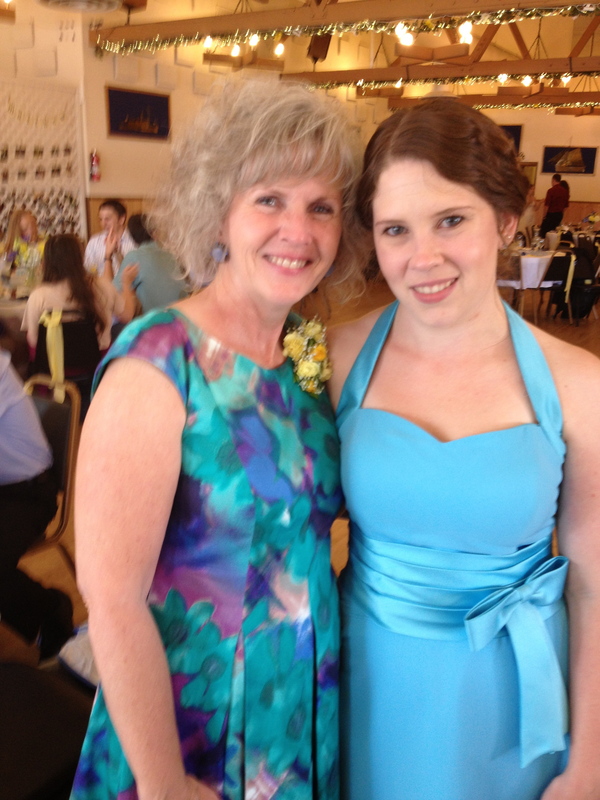 This was my first wedding other than my own to not be in line for the bouquet. 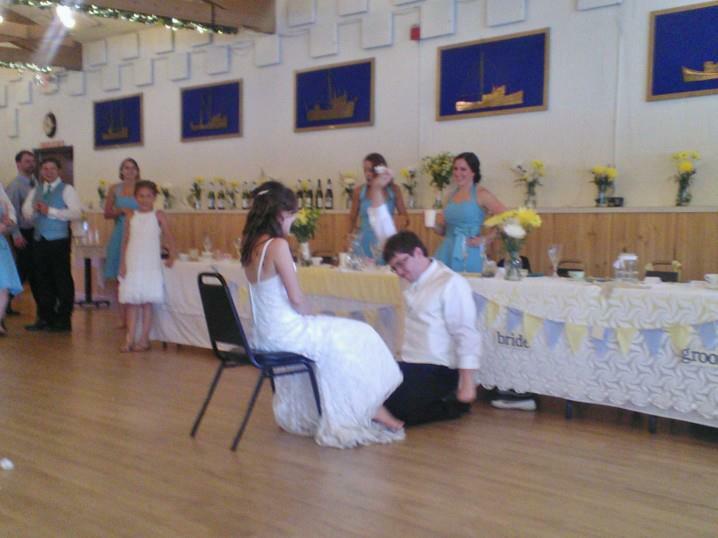 One of my cousins got the garter at my wedding and this time his older brother got Stina’s. 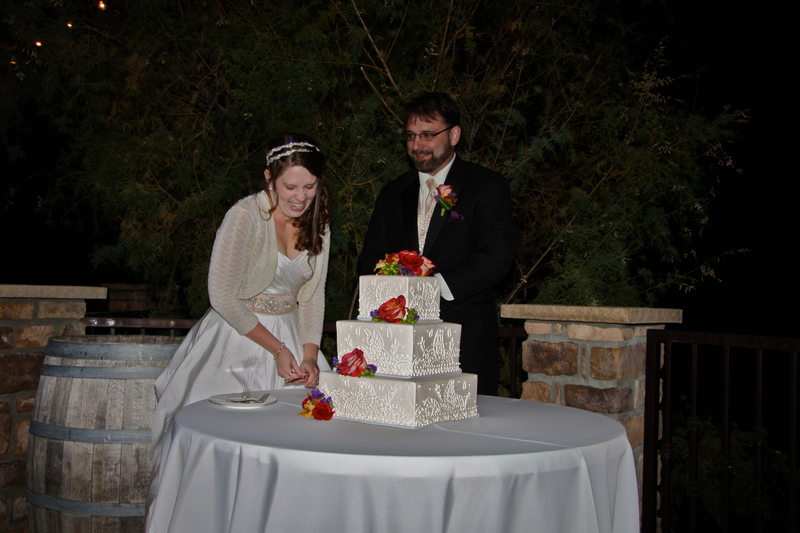 The plates were then cleared and Matt and Stina went to cut the traditional European wedding cake. White cake with raspberry and bavarian cream filling was served alongside refills of coffee and tea. 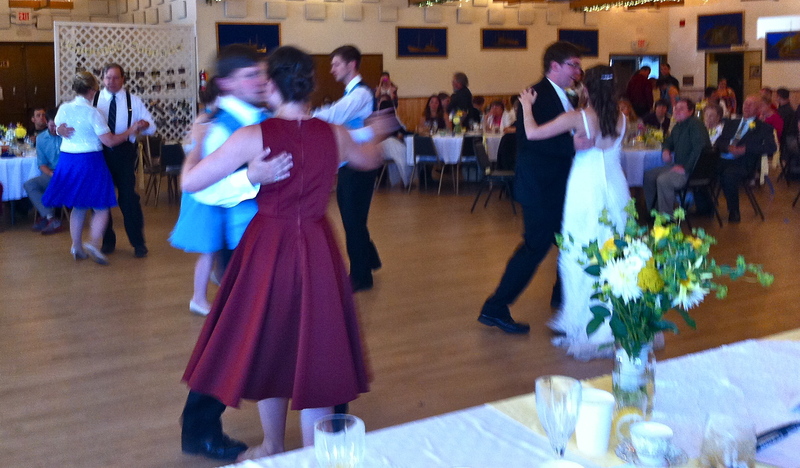 The dance floor was opened once again to classic slow dancing and swing music. 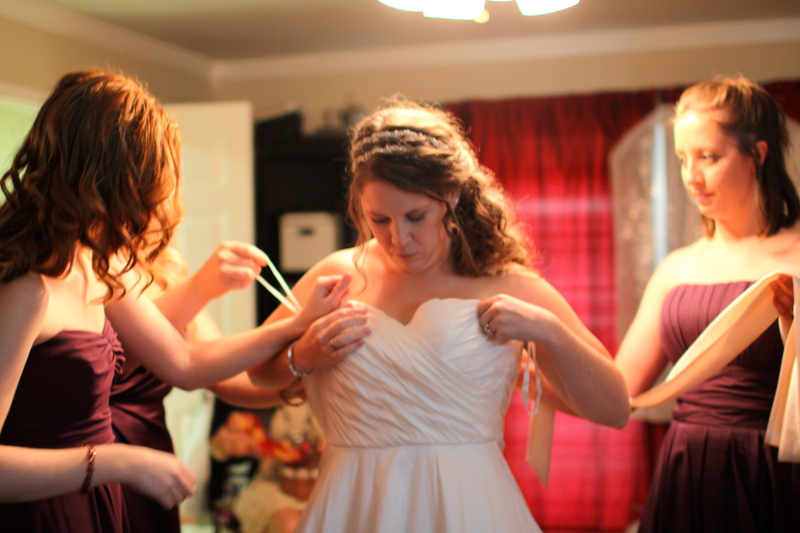 Slowly the non-relative members of the bridal disappeared to decorate the couple’s car. 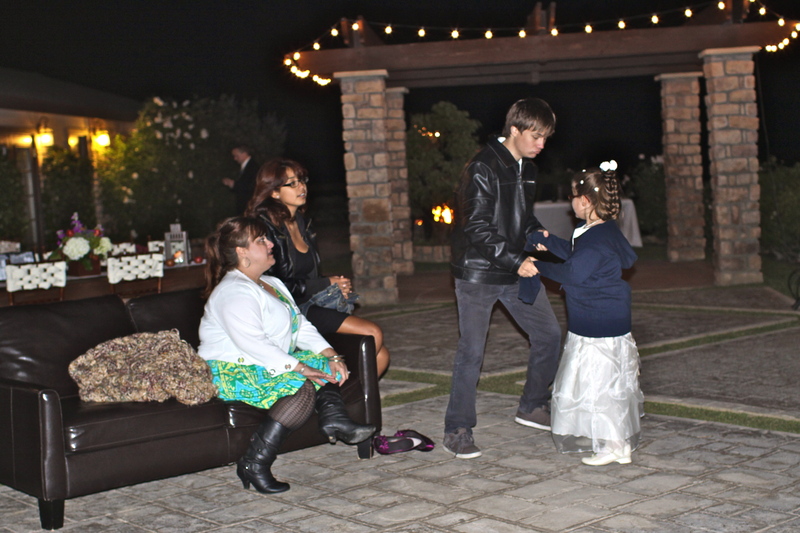 As dancing continued Stina and Matt talked with friends and family guests. Those who traveled from Oregon began to leave having a long day and a car ride to get home. My family wandered out to the terrace overlooking the waterfront on this beautiful sunny Washington day as Stina and Matt got ready to leave. 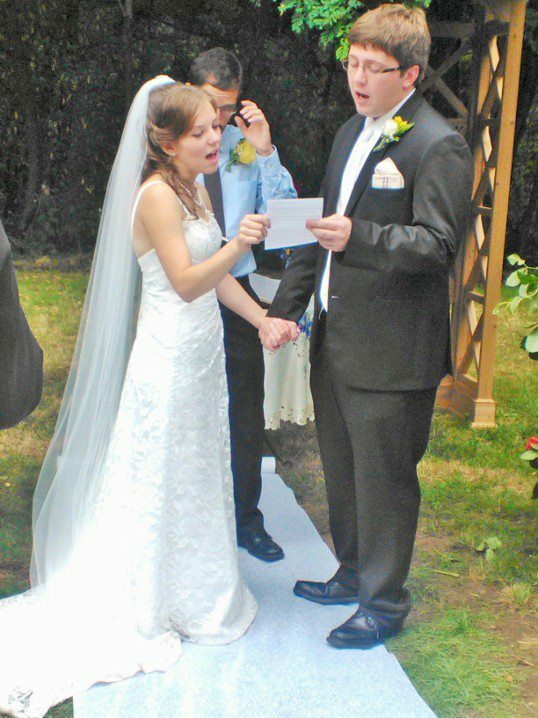 We all gathered outside in the parking lot prepped with bubbles to shower the newlyweds as they left for their honeymoon. When Matt and Stina arrived at his CRV we all pitched in to clear the windshield of Oreos, the sun visors from rice or glitter, the inside of the car from balloons filled with glitter (among many other things). Every window was covered with writing and of course there was a string of cans tied to the back bumper. After a little frustration trying to clean off the car they were off to catch a ferry ride to their hotel for the night. Luke and I had a red eye flight to catch that evening back to New York so we took some time to say goodbye and thank you to the bridal party, Stina’s family, and then our own. We headed back to the hotel with Luke’s parents, changed and packed for the airport. 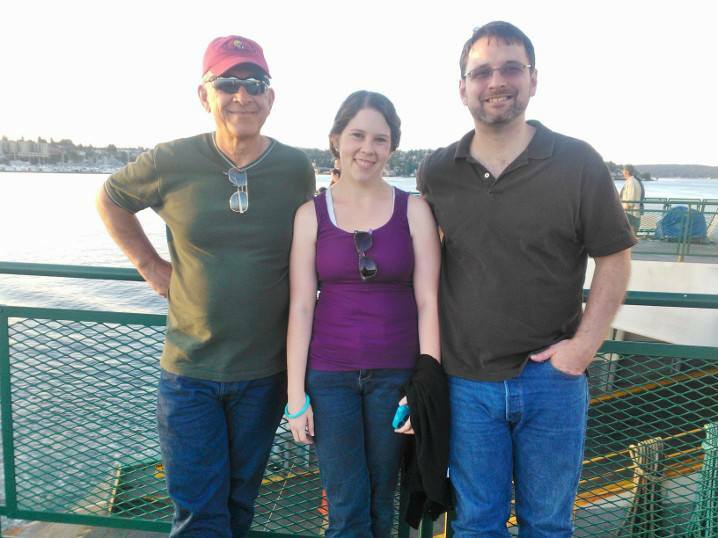 Then we left for Seattle for one last night in Washington (see Little Norway and the Emerald City ). 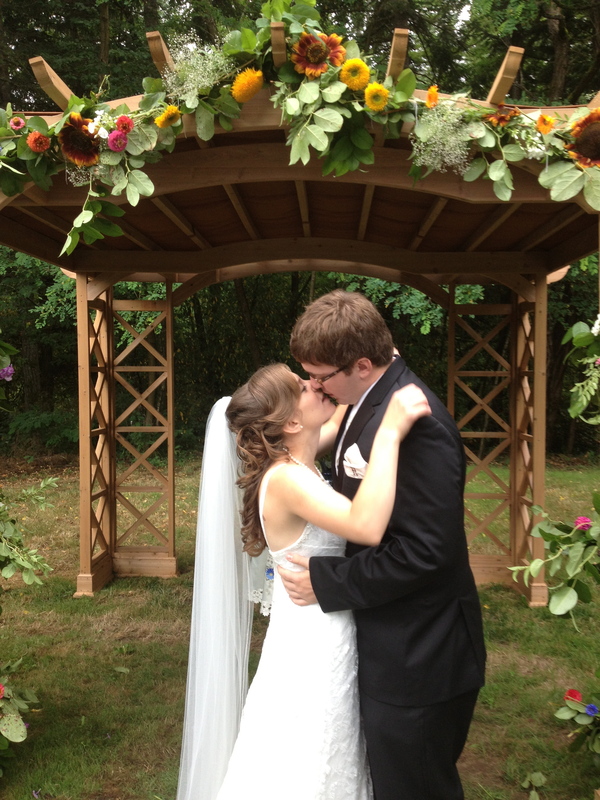 August 3rd was a beautiful day and it was such a wonderful wedding. Every detail was noticed and appreciated. It takes a lot of work to pull all the the pieces together but with everyone working together the day went pretty smoothly. 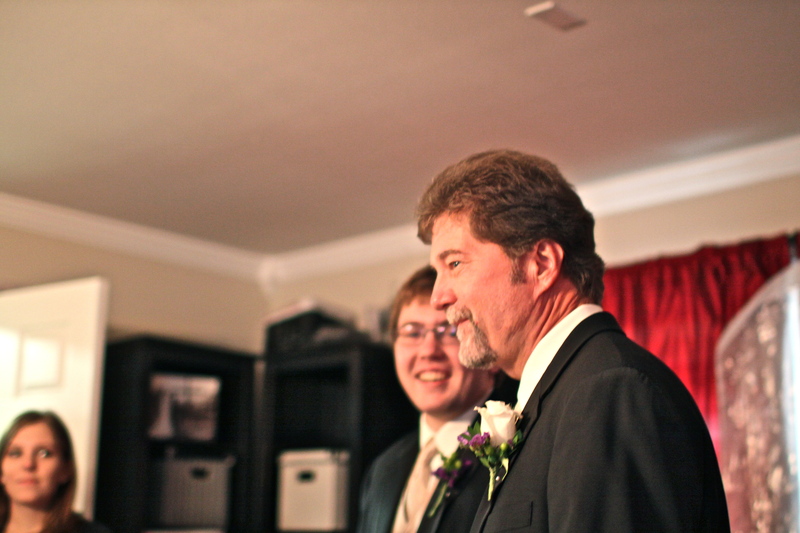 I was so glad Luke and I could be there to celebrate in such an important day in my brother’s life. 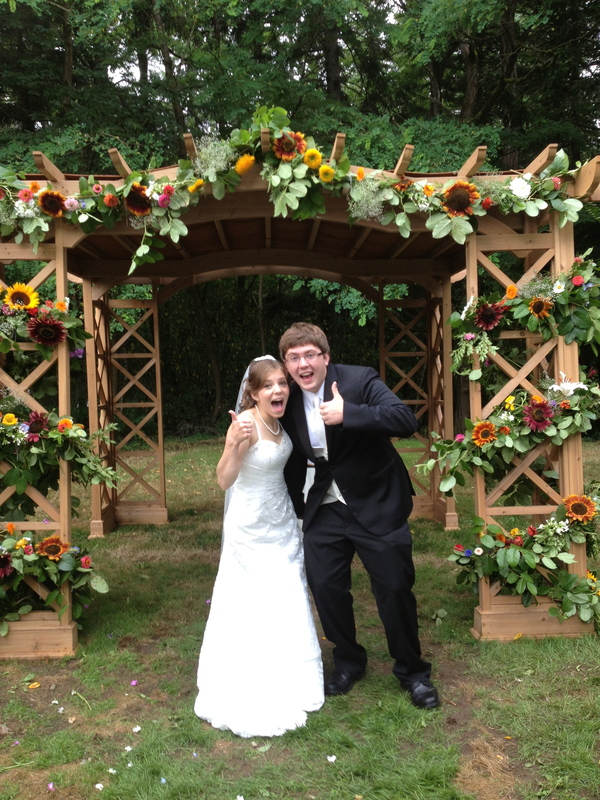 Today marks one official month since my brother’s wedding. It’s hard to believe it’s been that long. I know that our first month of marriage flew by with so many changes and transitions-I know my brother and Stina must be feeling the same way. Saturday morning, finally the wedding day: I got up bright and early to curl my hair at the hotel (it’s always odd to me to have to curl curly hair). 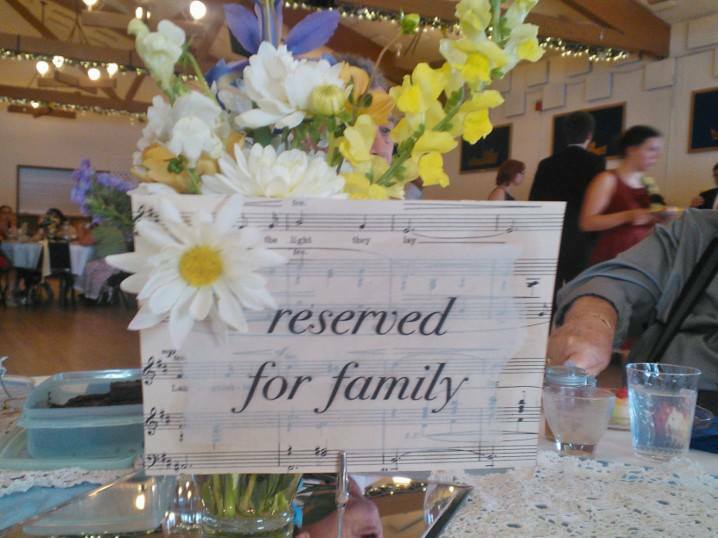 I got all of my bridesmaid items together and met my parents in the lobby. 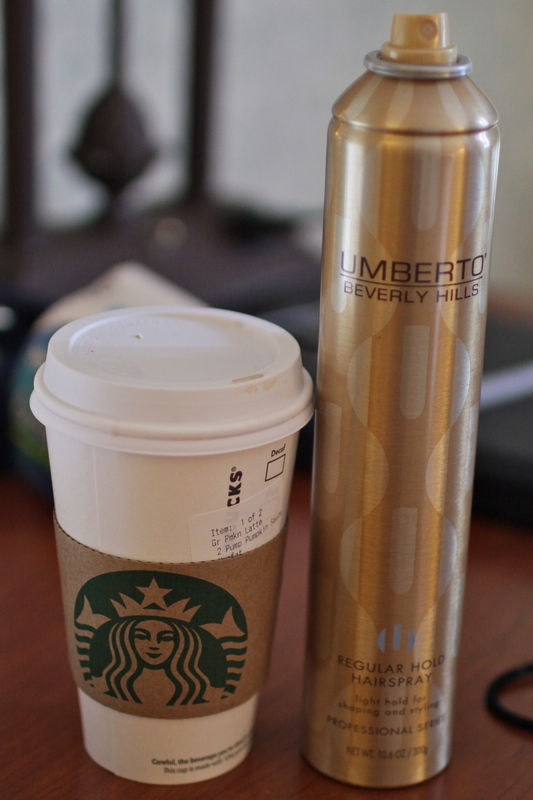 We headed to Stina’s favorite coffee shop where I filled in a large order for the bridal party’s caffeine wants. With to-go carts in hand, we carefully got into the car and drove to the Moseng house. 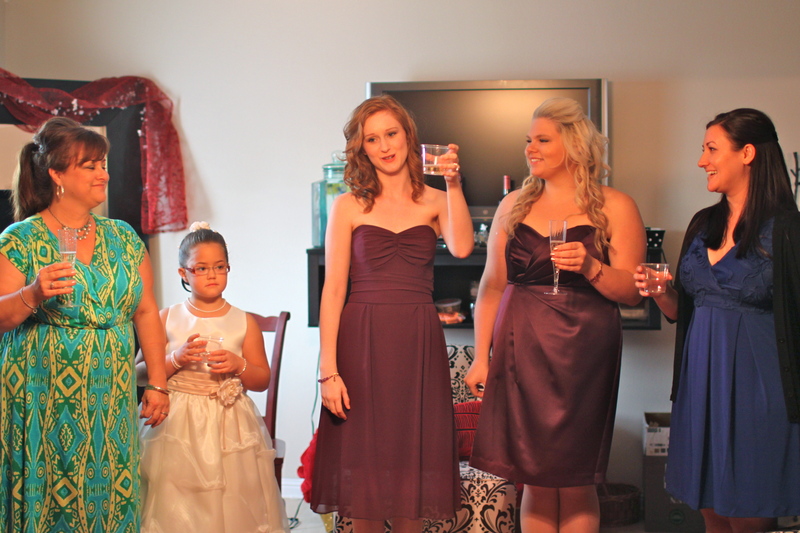 By the time we arrived all the bridesmaids were up and getting ready. 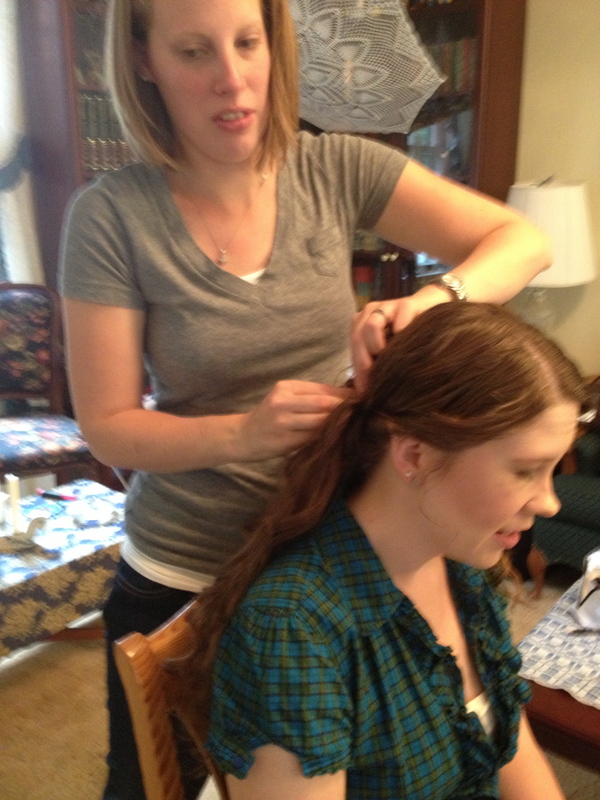 The the wedding coordinator was helping with hair alongside Stina’s hairdresser. I doled out the coffee then my parents picked up one of Matt’s high school friends and drove to Stina’s brother’s house to take pictures of the guys getting ready. 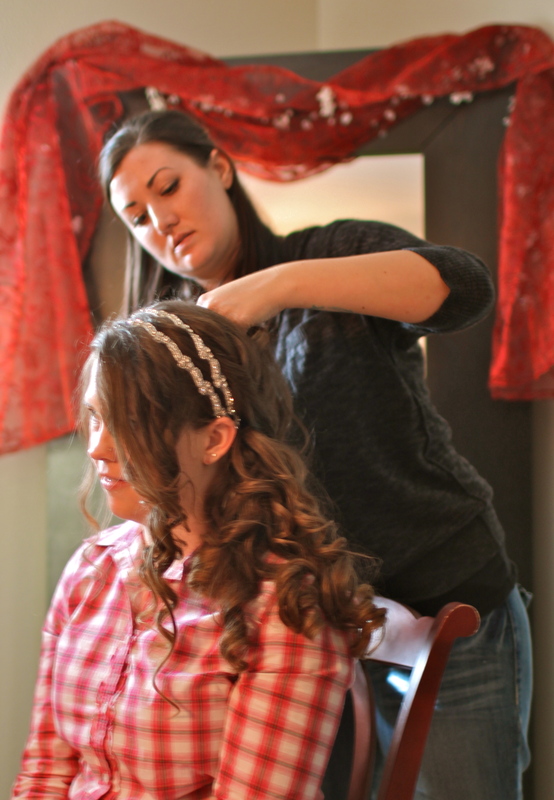 I joined in getting makeup done and then spent a good deal of time letting the wedding coordinator pin up my long thick hair. The atmosphere was pretty relaxed considering the days events, everyone was excited and enjoying themselves including Stina. 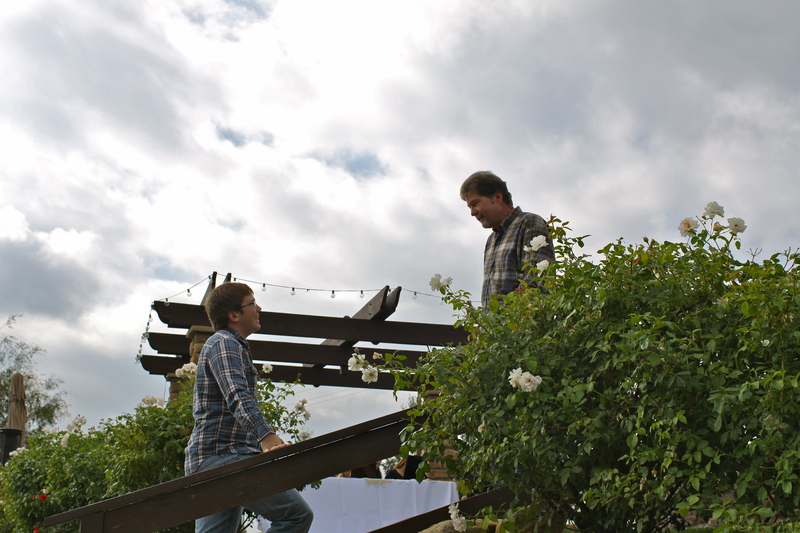 When the groomsmen and groom arrived around 8:30-9:00ish Matt and Stina did their first look. 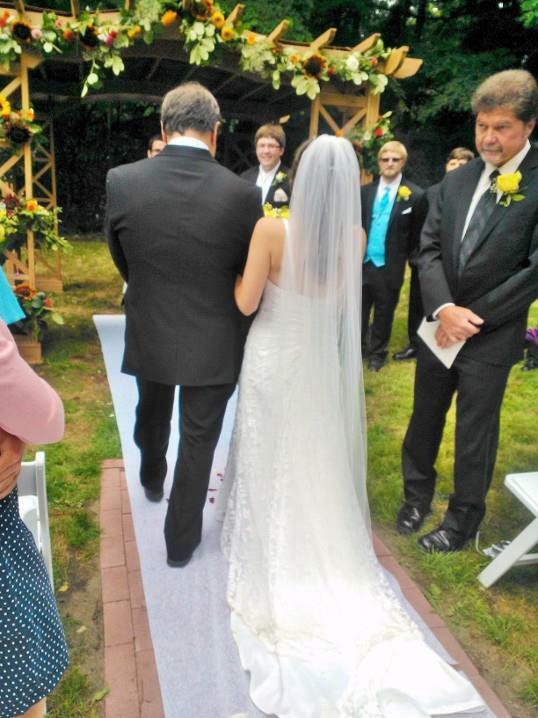 I helped watch her lace train as she came down the house steps and around to the bridge over the coy pond. 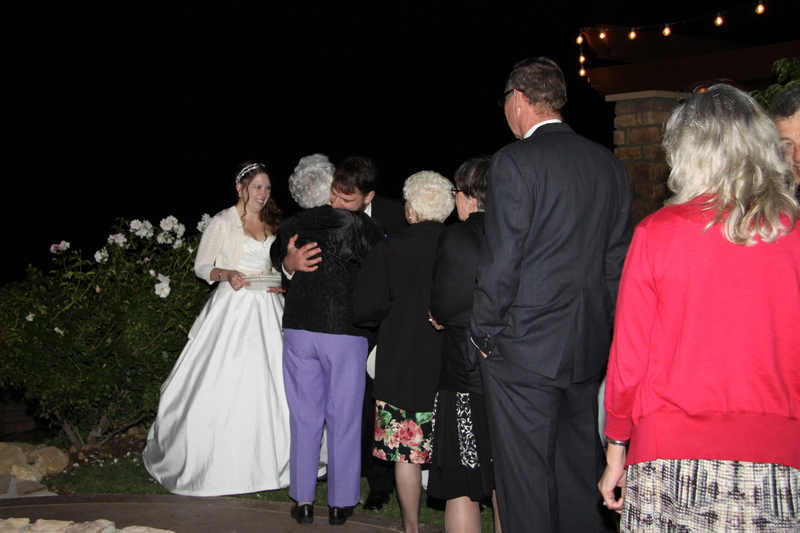 All the close family and bridal party stood around (but far enough away to not be in pictures). It was a beautiful moment. 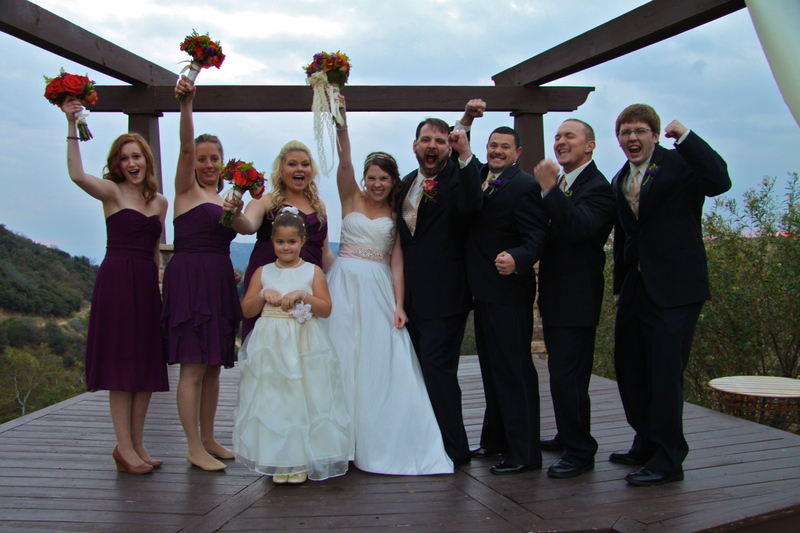 After this, we started in with the bridal party pictures followed by family pictures around 10:00am. 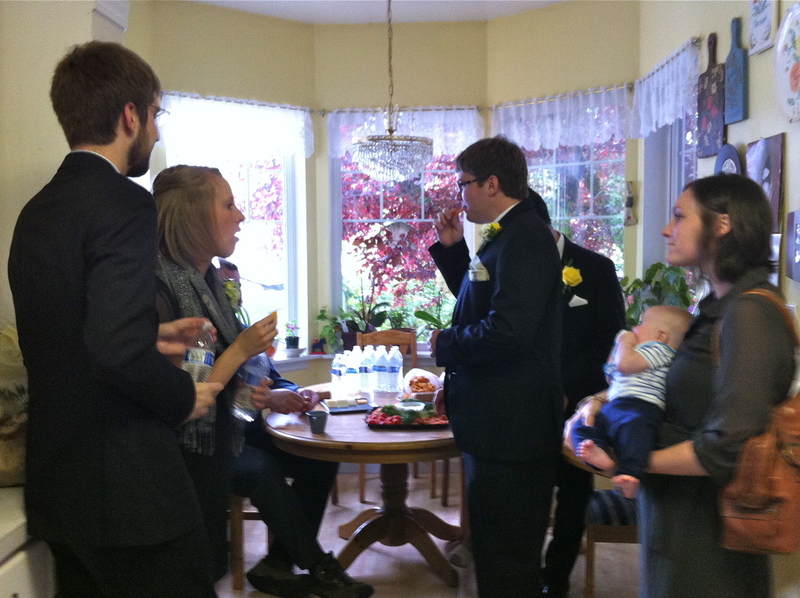 Then all of us crowded back into the house for a late breakfast/early lunch before the wedding. 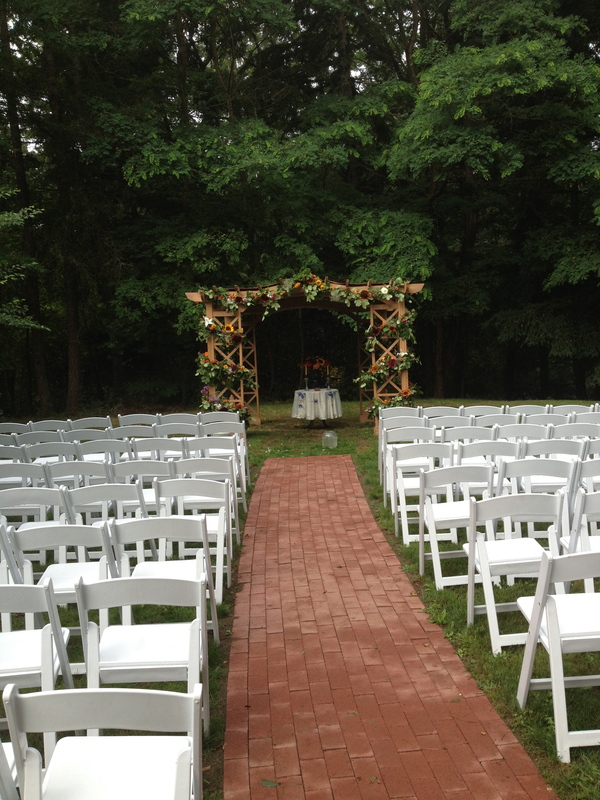 We watched from widows of the house as guests began to arrive and fill up the white chairs in the garden. 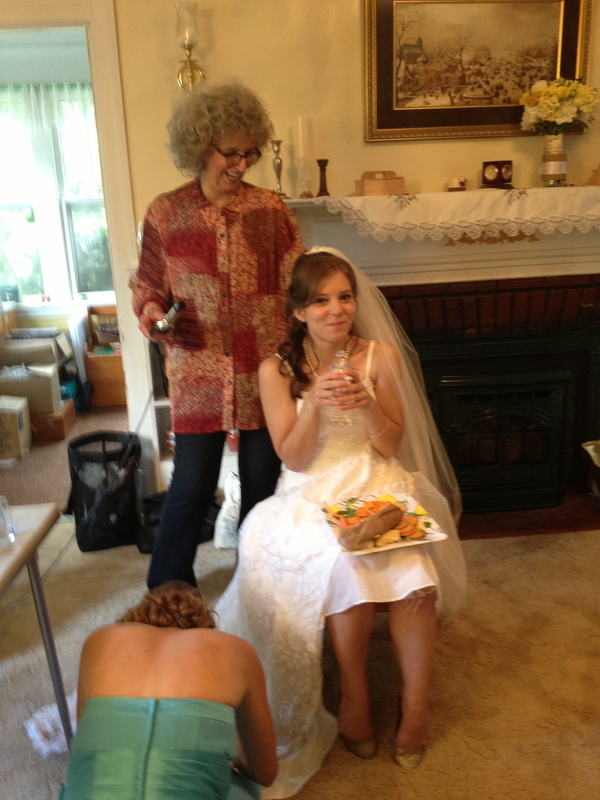 During this time Stina was confined to an upstairs bedroom and enjoyed reading child stories to the flower girls. 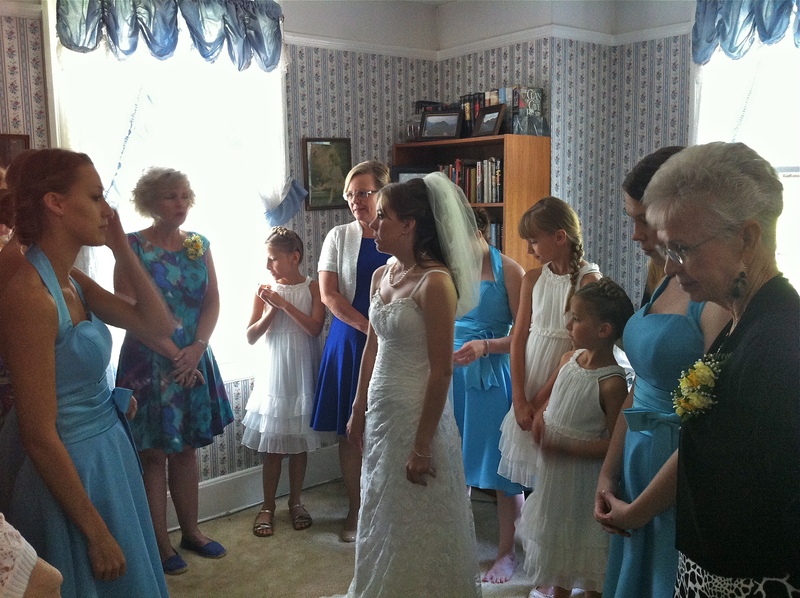 Right before the wedding was about to start, all of the female relatives and bridesmaids gathered around Stina to pray. 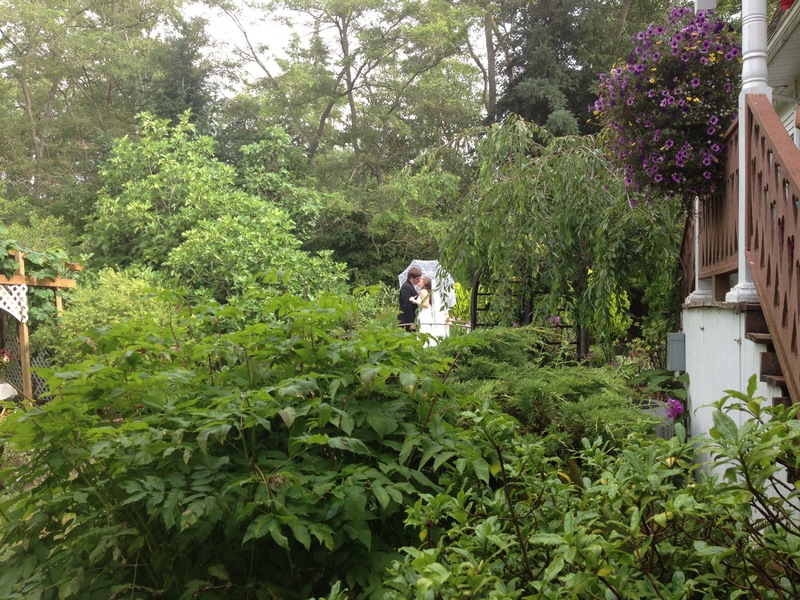 Then the bridesmaids lined up behind the bushes ready for our musical que. 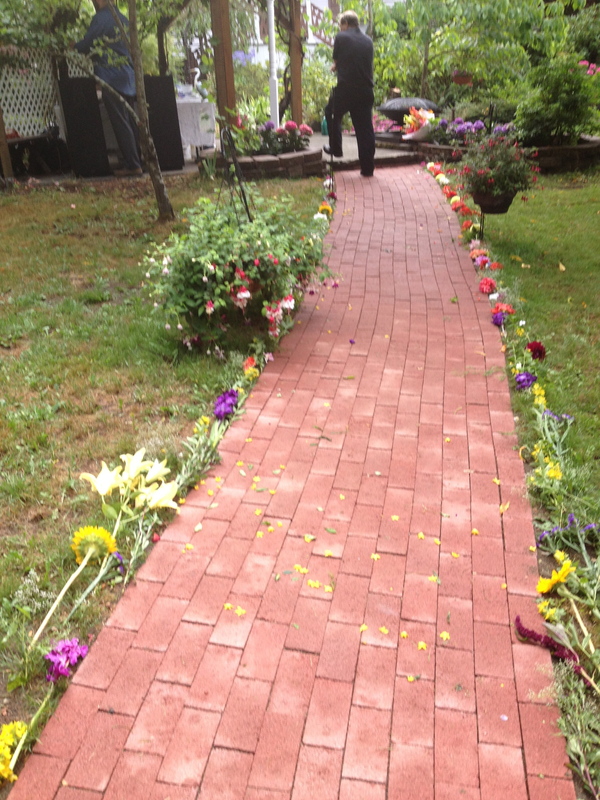 The brick path was covered with a white runner. Shepherds hooks with potted fuchsias hung along the path as well as fresh flowers from our Pikes Place trip were laid on the side of the path. 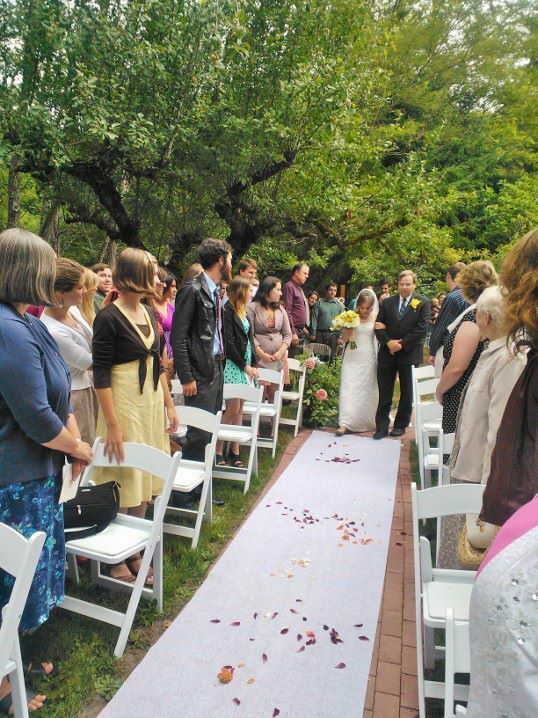 By the time I walked down the aisle the garden was crowded with people. So much so that although we had a sign saying there was plenty of room some had to stand along the trees for most of the ceremony. The three sibling flower girls came down in a bunch all similes in their matching dresses and hair. The oldest passed the wood ring box my father made onto the best man. 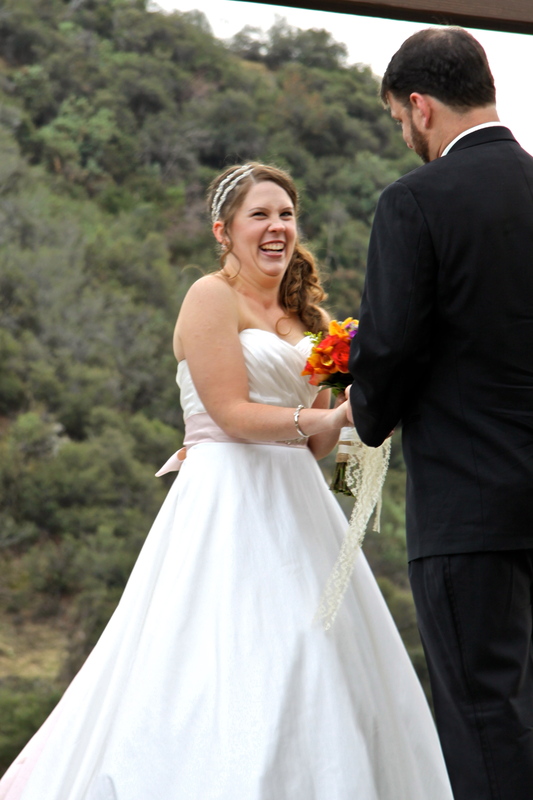 Then came Stina in a beautiful lace covered wedding gown smiling all the way. 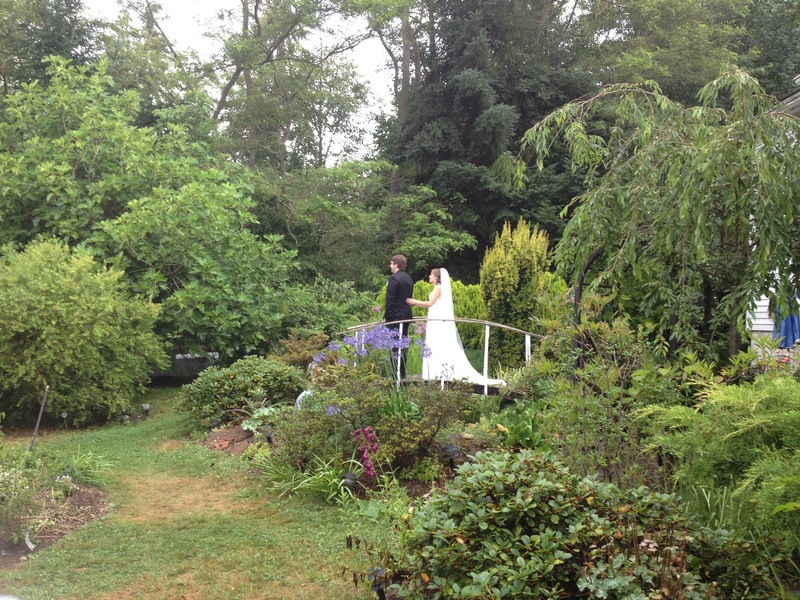 My brother’s pastor from his college in Oregon was the officant for the wedding. 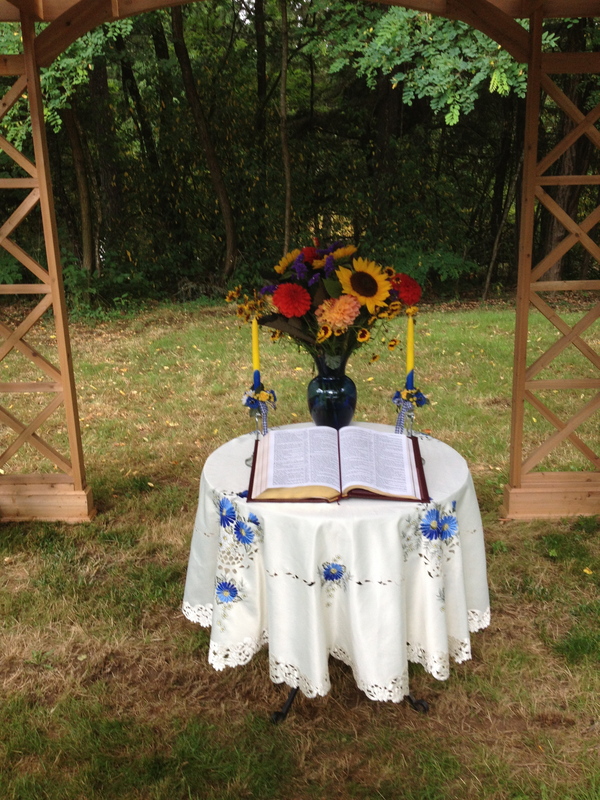 As usual the giving away, prayer, and a short sermon were done in front of a beautiful gazebo filled with fresh flowers from the garden. 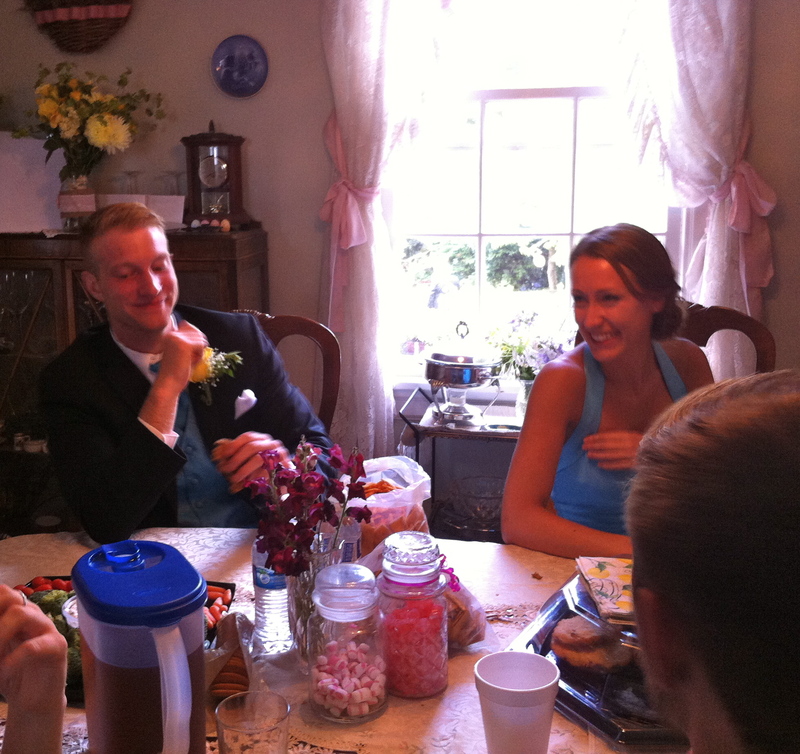 Behind Matt and Stina was a table with a large bouquet of flowers, two candles, and the Moseng’s family Bible where all marriages have been written down for generations. The Pastor (whos name is also Matt) shared about how love becomes a choice not only an emotion through the years of marriage and on the importance on choosing love and the behavior of love even when it is not easy. We all were handed hymnal inserts from the program and sang among a very musical audience. 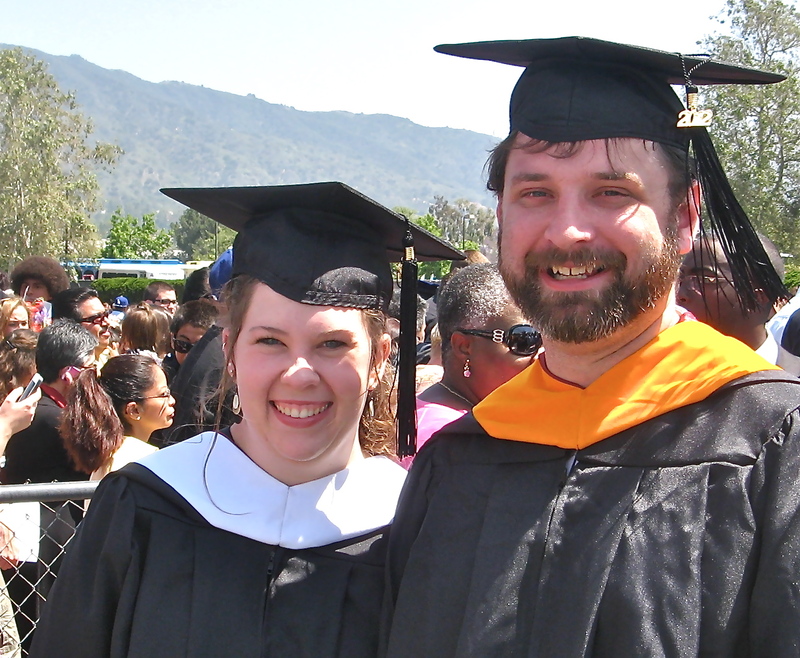 (Matt and Stina were heavily involved in the music department at their school) A wonderful chorus rang out with Great is Thy Faithfulness. 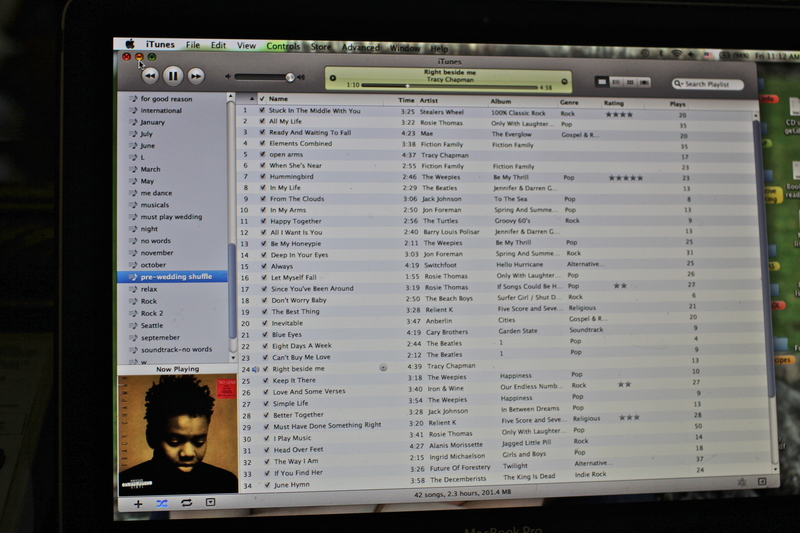 ( I was happy to get through almost the whole thing without crying). The rest you probably know: the exchanging of rings, the vows, the announcement, kiss, and processional (to a surprise Star Wars song for Matt). 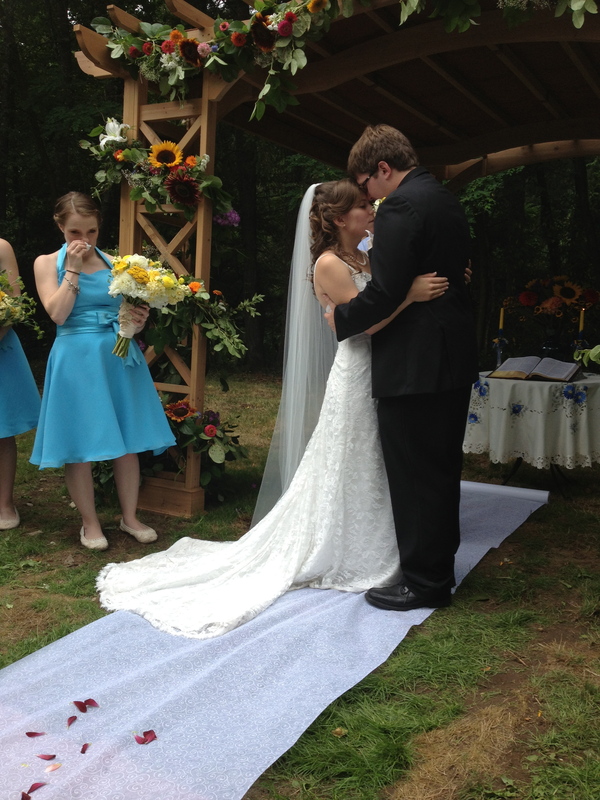 As we waited for family to exit the bridesmaids, my brother, and Stina waited behind the same bush we had waited behind as we shared tears, smiles, hugs, and looked at their wedding bands. Following was an enjoyable time of greeting guests, friends, and family talking together while waiting to see who would leave first for the reception. After some informal photo shots we all started toward the field waiting in line to leave the Moseng house and head to the reception downtown Poulsbo. 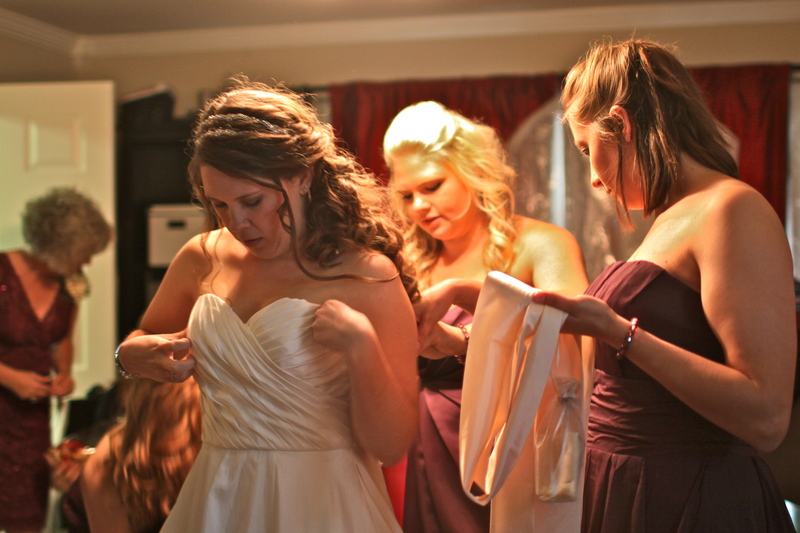 To the Brides to be . . .
As we come down to the last few days before my brothers wedding (sorry if you are getting tired of hearing about this-I’ll be done on this topic soon). 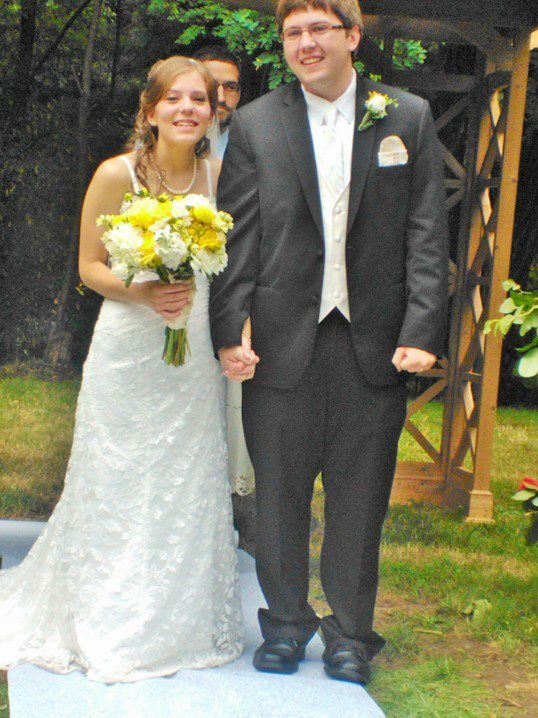 I think back to my wedding day which was-honestly a blur. There are moments that stand out in my mind good, stressful, and bad but let’s just say I’m grateful we had it all video taped because I could use a reminder of the play by play beyond what I planned for. But one thing I do know is that a lot of pressure is put on this one day, that one moment, this one event that when you get finally get there-it’s a little difficult to know how to feel, how to move forward or what to do. 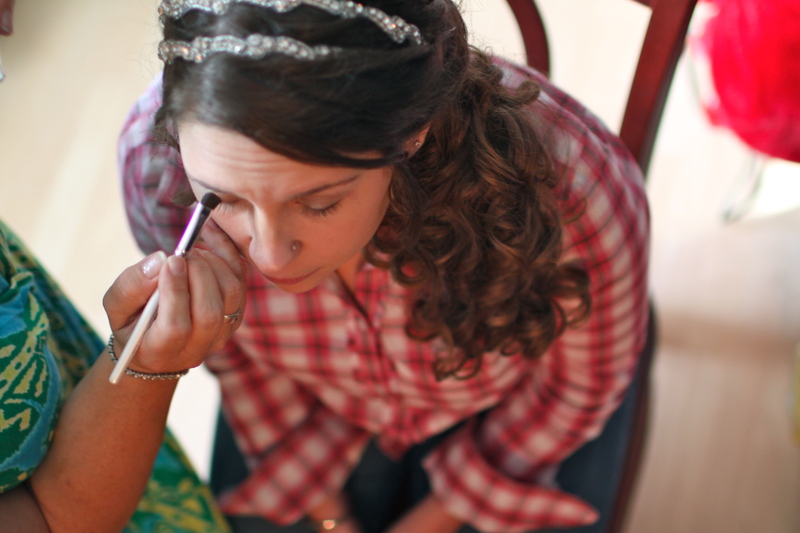 Many bridal magazine will try to tell you how “to look and feel your best” the day of your wedding . But this advice is usually superficial at best: detox tea, face masks, deep breathing exercises etc. only work so well. So I thought I would write a little realistic advice to the brides to be out there for their wedding days. Pause, breathe, and take it in-no need to rush!! With everyone so busy around you, it’s easy to get caught up in the anxious rushed high. But you do not have to worry about a detail-that (hopefully) has already been delegated to those who love you and have volunteered to help.You need to pause, breathe, and take it in. 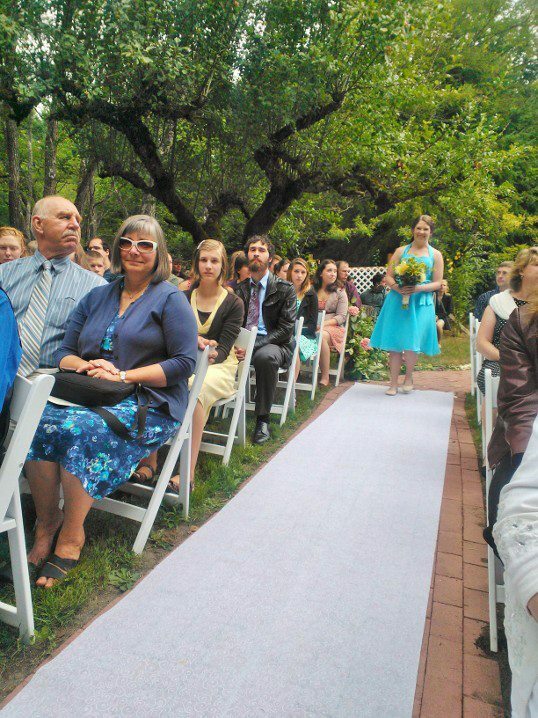 The wedding can’t start without you (and everyone expects it to start a little late anyways). For example, I had met with my florist only once and since I have a green thumb, the flowers and table decorations were very important to me. 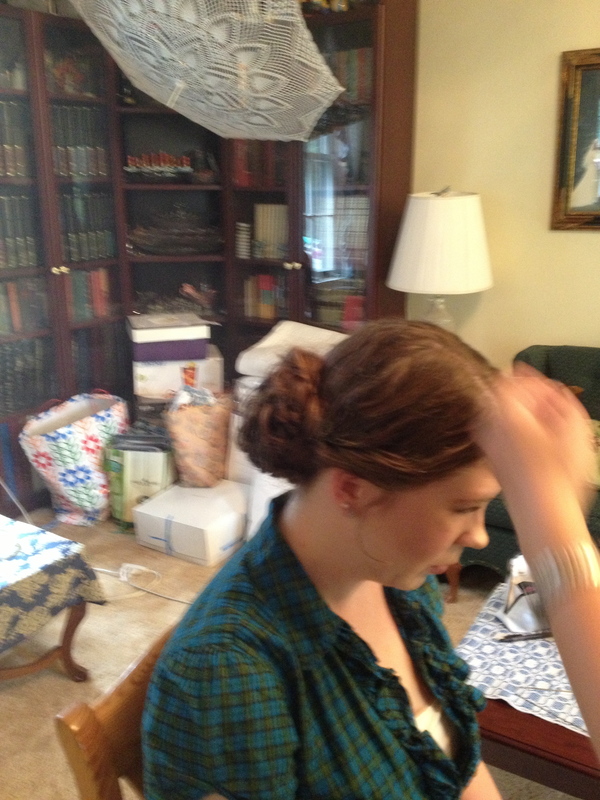 I was couped up in the bridal room for hours so Luke wouldn’t see me. 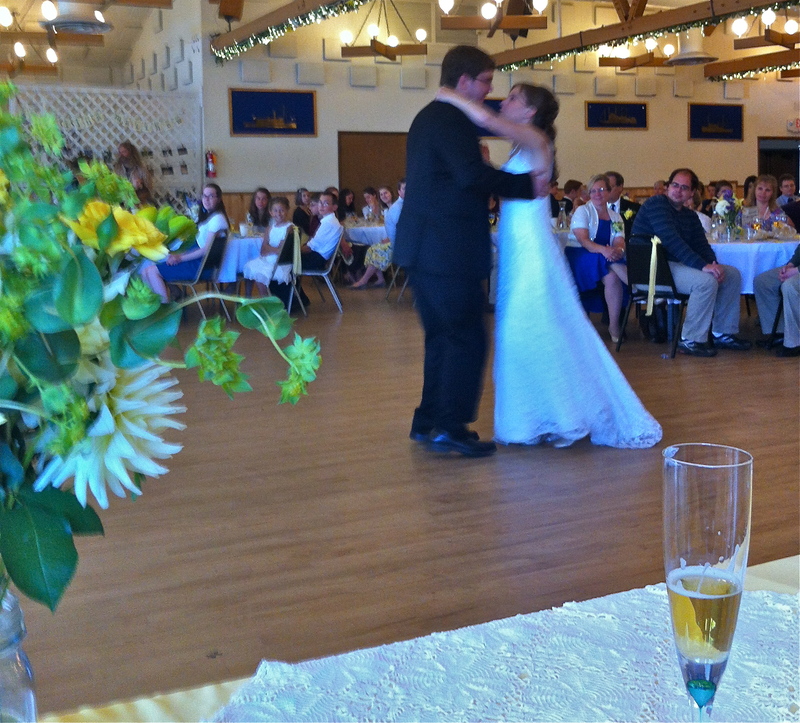 When it was finally time for me to leave the room I wanted so badly to look at the tables, knowing that by the time I would see them again I would be busy at the reception and it would be dark. 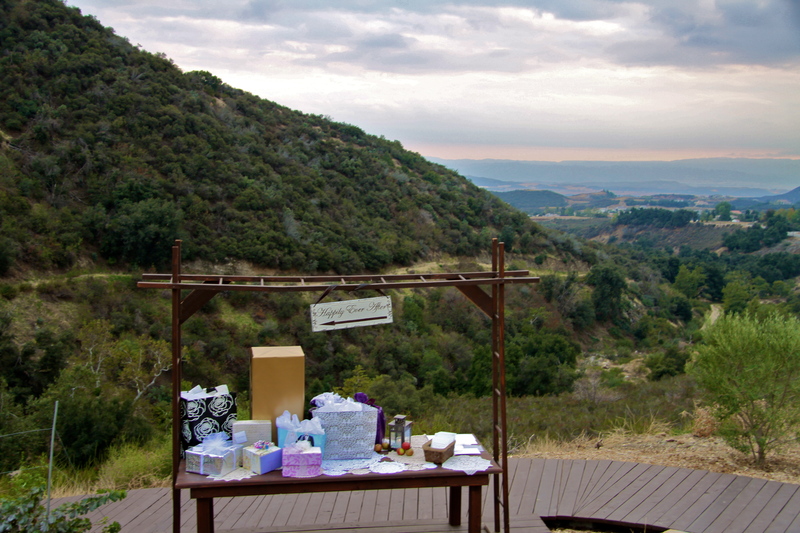 The assistant wedding coordinator told me to take a moment to take it in -it was a necessary to breath and relax before heading down the aisle. 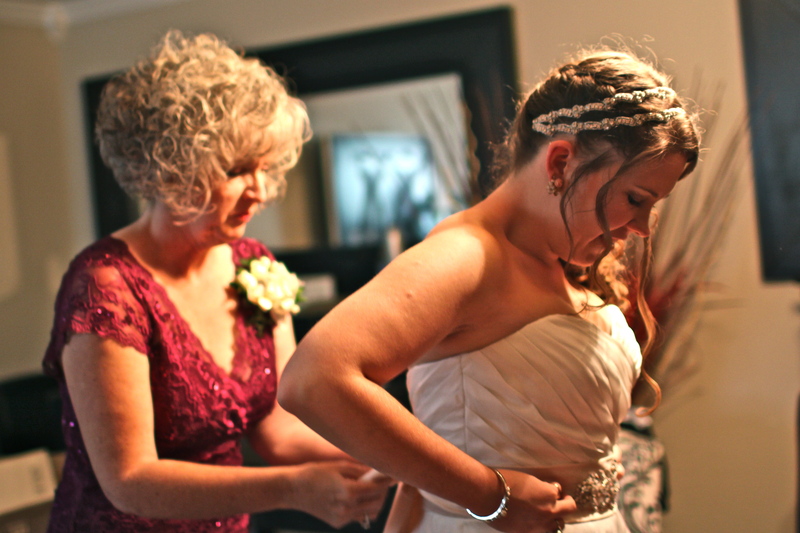 We all know those moment you want to remember from your wedding day (maybe it is all of them) but the reality is most of it will be a blur. And yes, all of the moments of this day are significant but which of them will be captured in a picture or on the video that you can look back on -and which ones will not? 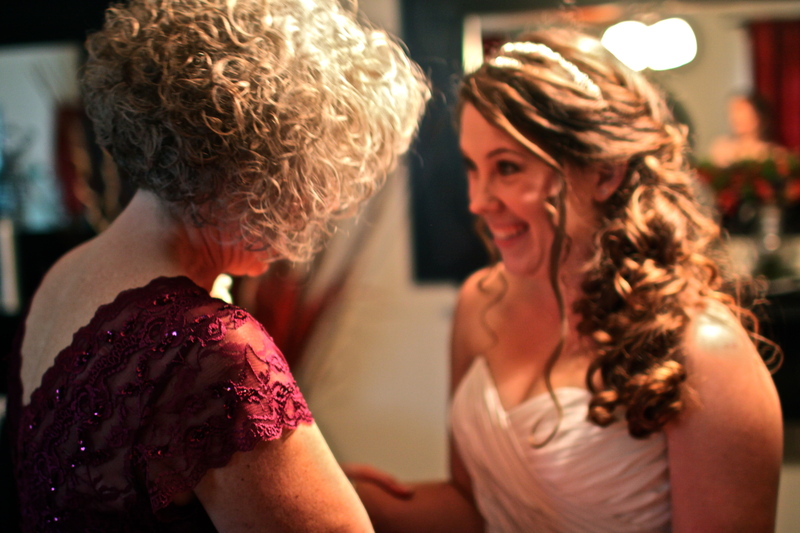 For me : these moments are when my dad first saw me in my dress, or when my grandmothers joined the bridal room. Some of these moments are unplanned, such as getting colored drawings from our younger guests, or a passing piece of advice from a friend or relative, a laugh, a glance at your new husband. Things only you can capture and remember. Focus on the positive and the big picture. As much as you are the one planning through every detail you cannot control it all. You are yourself and are working with humans– it may not all go exactly as you had planned (sorry to be so honest) but it will all be wonderful and beautiful. I am a detail oriented with a type A personality. So to give control of so much of “my day” to those around me in hopes it will all go well is difficult-but I had not choice. Of course there are things you cannot predict. 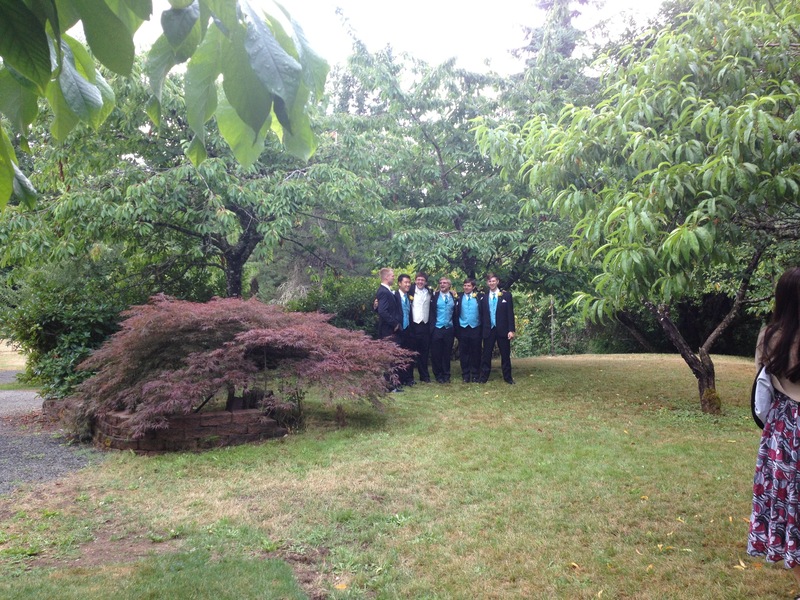 For example, there was a miscommunication about one of the groomsmen suits. So a couple from Luke’s side of the family drove quickly back into town to pick it up and back to the wedding right in time. ( I didn’t hear about any of this until Luke and I were driving away that night). 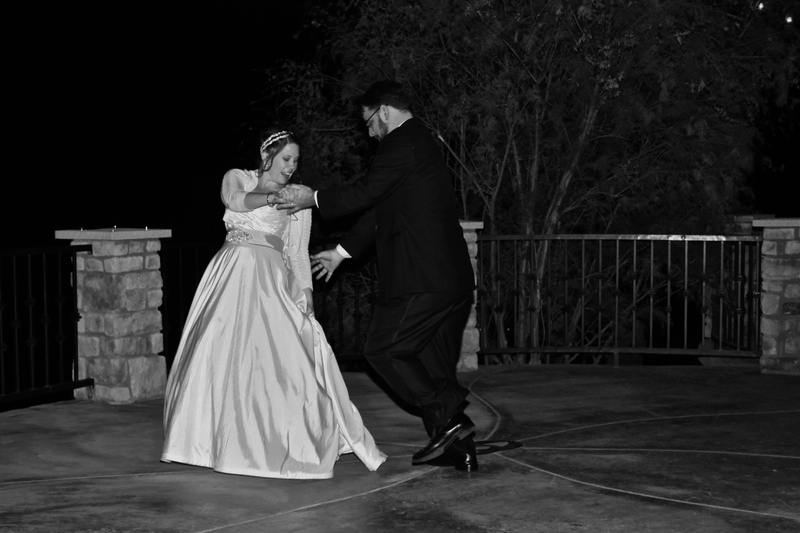 Also I could not predict that my dress’ bustle would keep falling out as people stepped on my dress in the tight reception space. It may not all happen how you want, but if you focus on the positive and the big picture you’ll realize it is amazing. As I mentioned in my first point, you will be surrounded by many people from the moment you get up until you are alone with your husband in the car leaving for the honeymoon. If you are anything like me and even the slight bit of an introvert, a few seconds of quiet time to yourself to take in the day is important. This may mean taking a few minutes to meditate, journal, pray, listen to some music,or go on a short walk before getting going that morning. 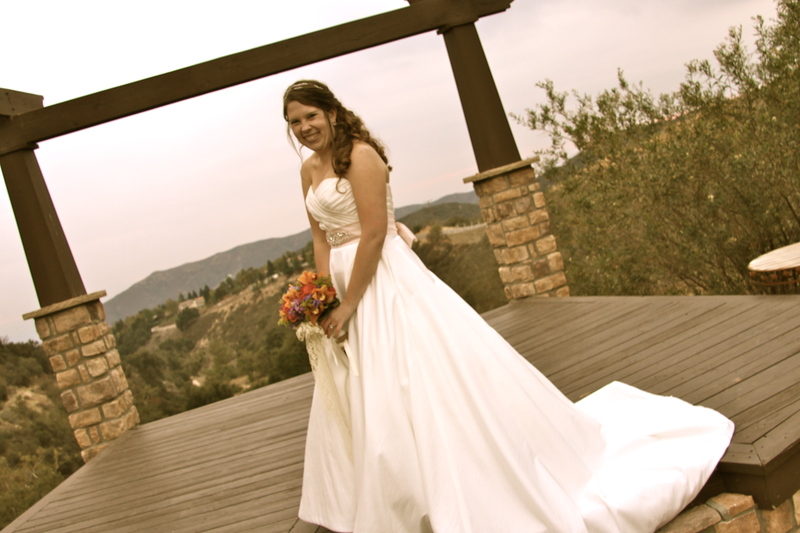 For me, after everyone was seated for the ceremony, and my bridesmaids sent out for the processional, I was left alone. 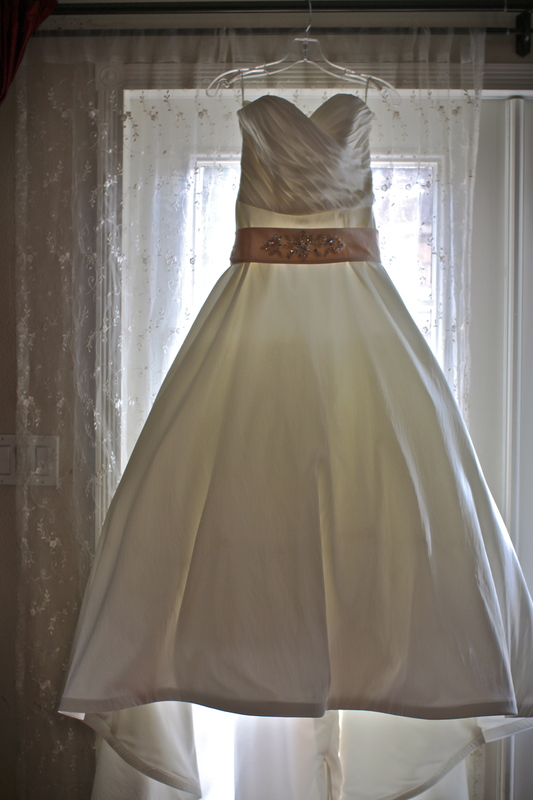 I got a few precious moments in the bridal room to myself. 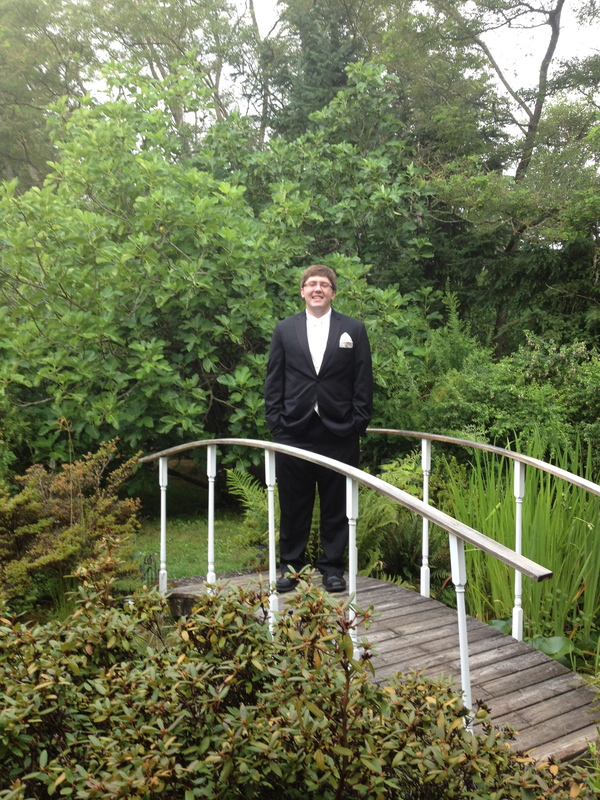 There I was able to pray, look myself in the mirror and take it all in before greeting everyone else. Much like the last point, it may be equally important if you are an extrovert to take a few minute to have a calm moment with you female relatives and friends before the wedding. This may be a toast, and encouragement. It could be a time to pray together or just a moment of silence. Or it could be a chance to exchange gifts. My wonderful bridesmaids set up time for an informal toast where grandmothers, mothers, friends, cousins, and bridesmaids all gathered and shared encouragement and congratulations. 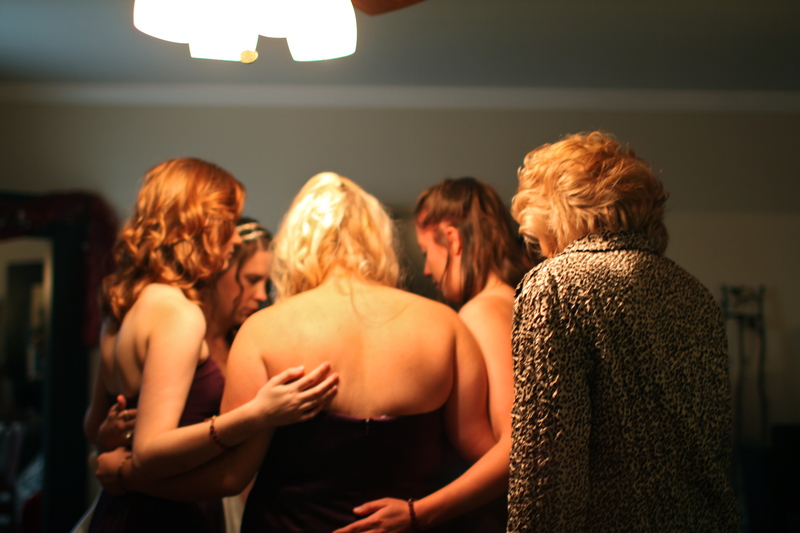 After most of my family had left the bridal room I gathered with my bridesmaids, mother, our pastor, and soon to be mother-in-law to pray for and over the day. This helped calm all of our nerves and help us focus no longer on getting ready but being ready. 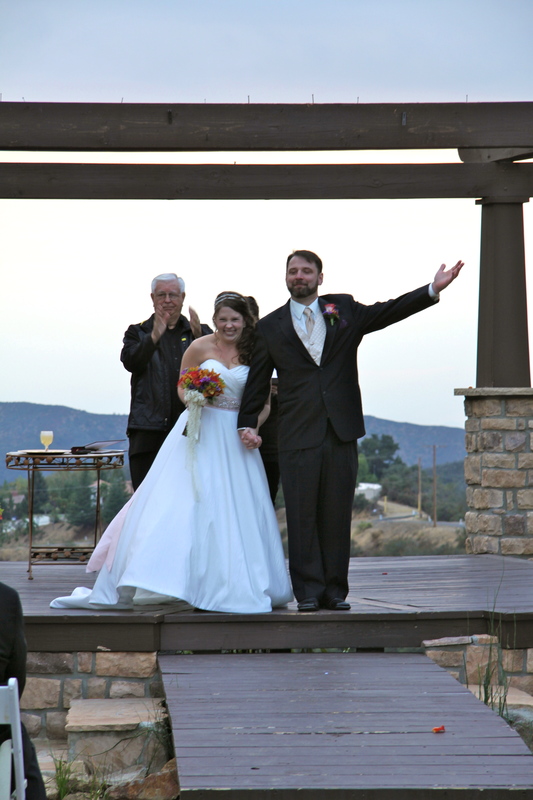 Once the formalness of the wedding ceremony (and pictures) are over remember to switch modes and celebrate. 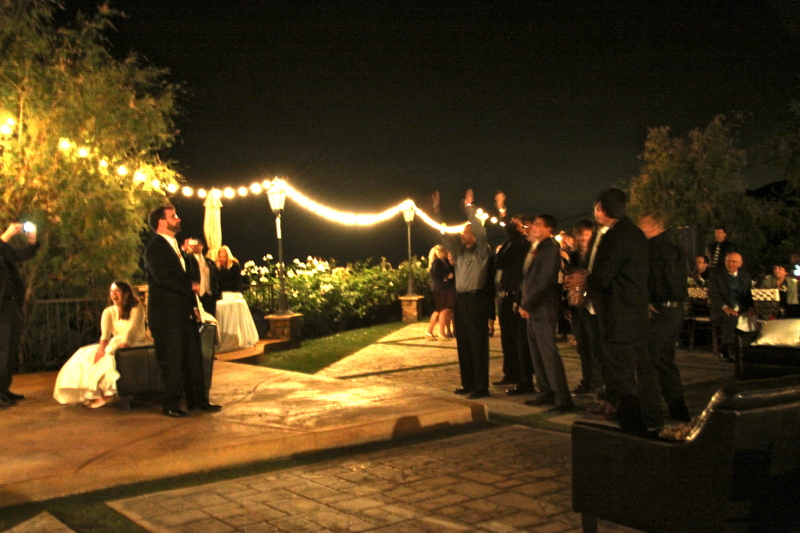 When the reception comes, yes there are still traditional events happening but this is a celebration time. Be yourself, laugh, joke, talk with friends, dance, and enjoy and be in the moment. 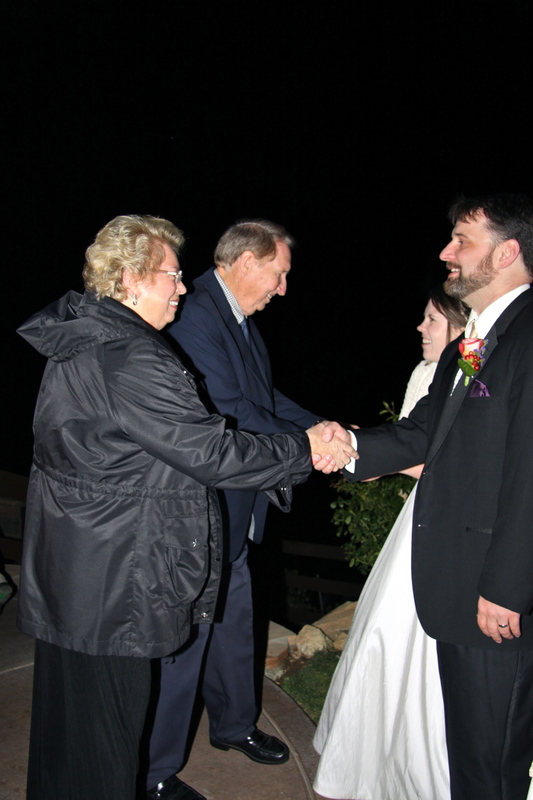 side note: make sure you have talked through the reception pacing with your MC/DJ. 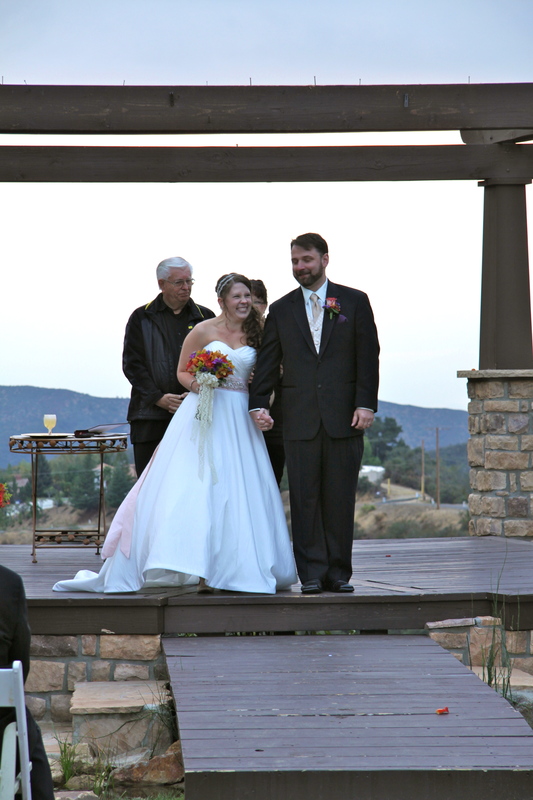 It is important that your MC/DJ knows how to space out the events at your reception. 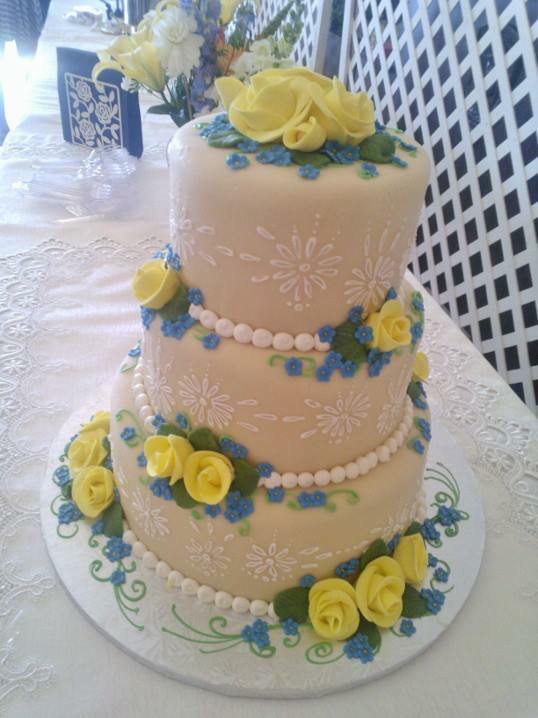 You may want to get all the traditional cake cutting, bouquet toss, toasts etc. over with right away so you can enjoy the dancing and food. Or you may want to space things out, get breaks in between so you can greet people, eat, rest, (or go to the bathroom). 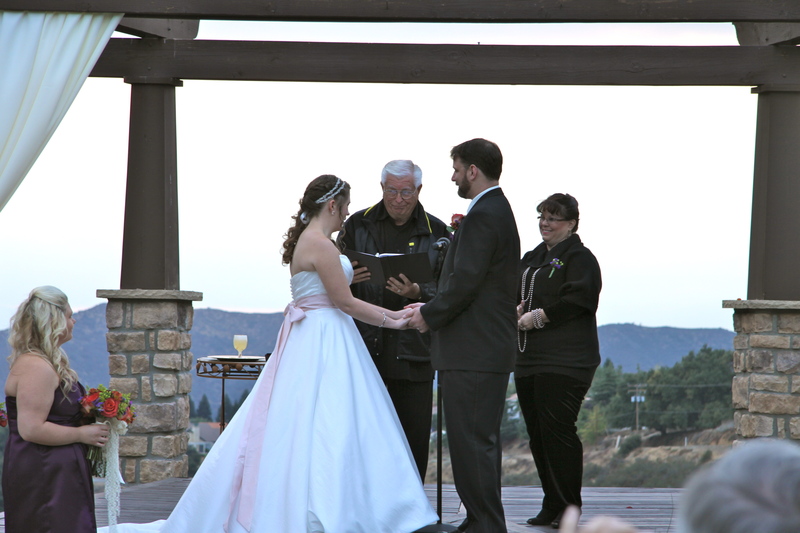 I was under the assumption, since the MC/DJ was hired by the venue, that he would know and keep a moderate pace for all of the reception events. 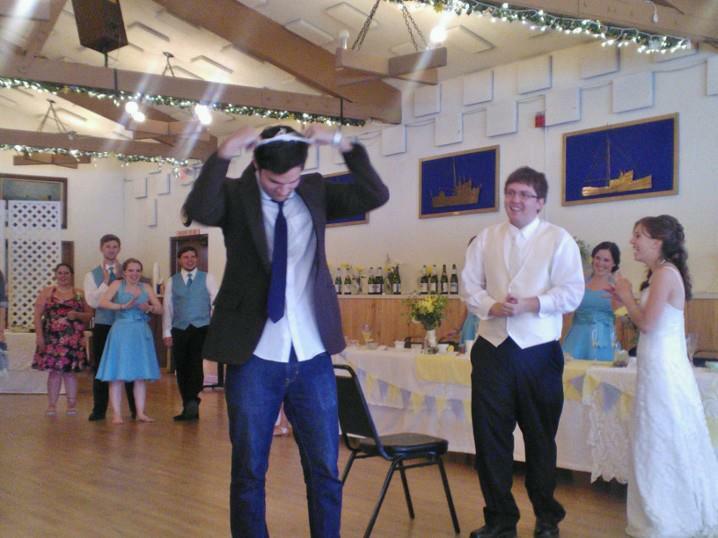 I figured he would take some time for dancing and socializing between the cake cutting and bouquet toss etc. Instead I was asked at the reception what I wanted to do!! 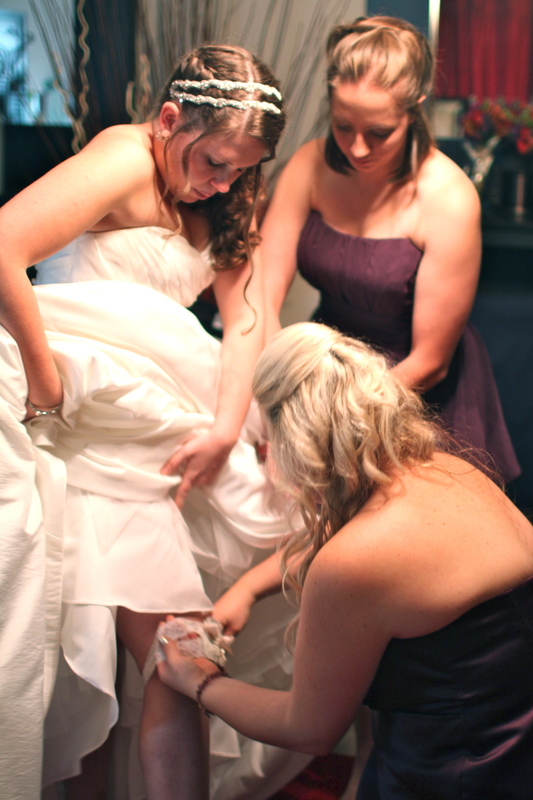 Unprepared to make any type of decision at my wedding I have no idea what to answer. 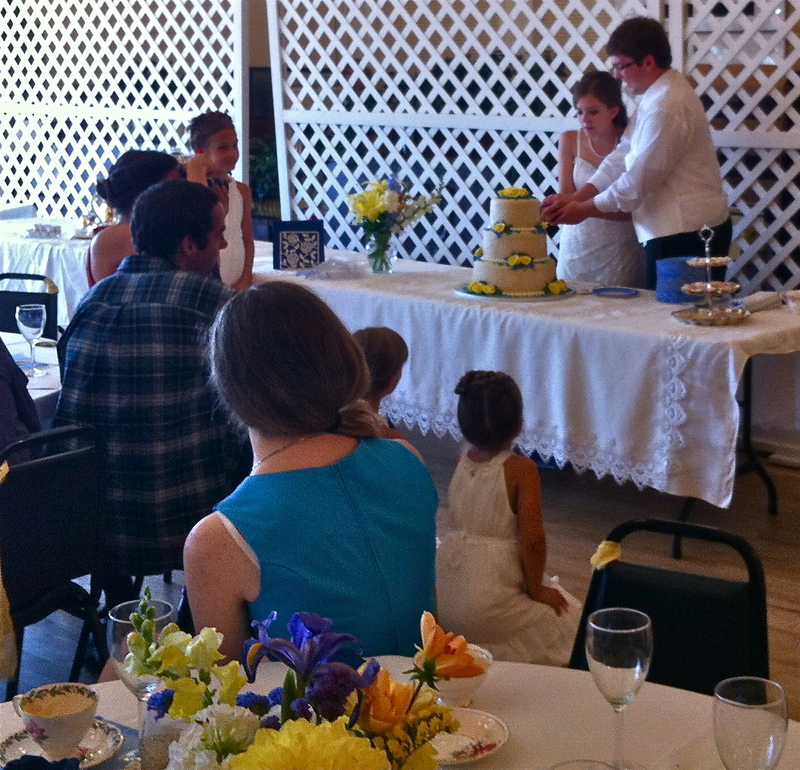 So all reception events happened quickly in a row-so fast few knew they were happening to enjoy them or take pictures. Then a large amount of time was given at the end for dancing. Because it was dark, and getting cold, people began to leave early since all main events were over. 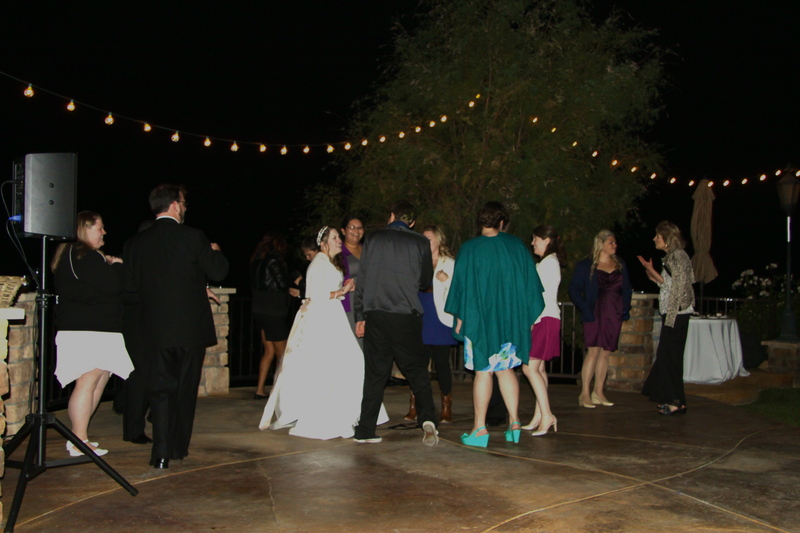 This gave me limited time to see everyone as well as it left a very limited grouping to enjoy the dance floor. 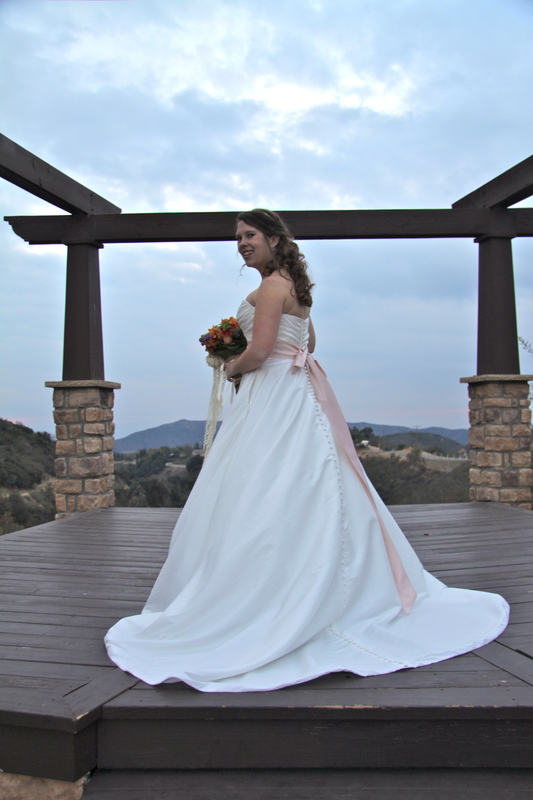 Remember: at the end of the day no matter how all the pieces, details, and events unfold you are leaving your wedding and starting a life with your new husband. Yes that big day is important, but the decision and promises you’ve made on that day will mark the days to come which will be even more significant. If you keep that in mind, focusing on the purpose of the day and your future spouse, your wedding day will be a positive blur and one you know is only the beginning. . .
We all know a picture is worth a thousand words. 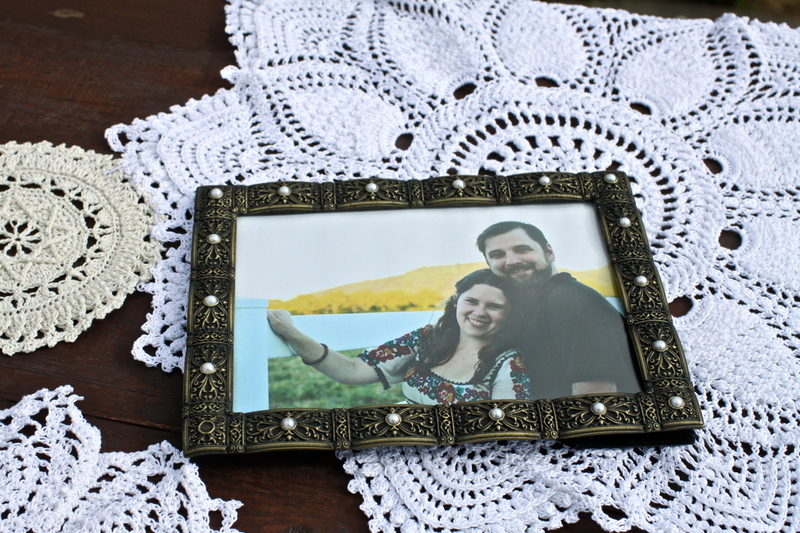 Taking that to heart, we let several frames placed throughout our wedding space tell stories for us. 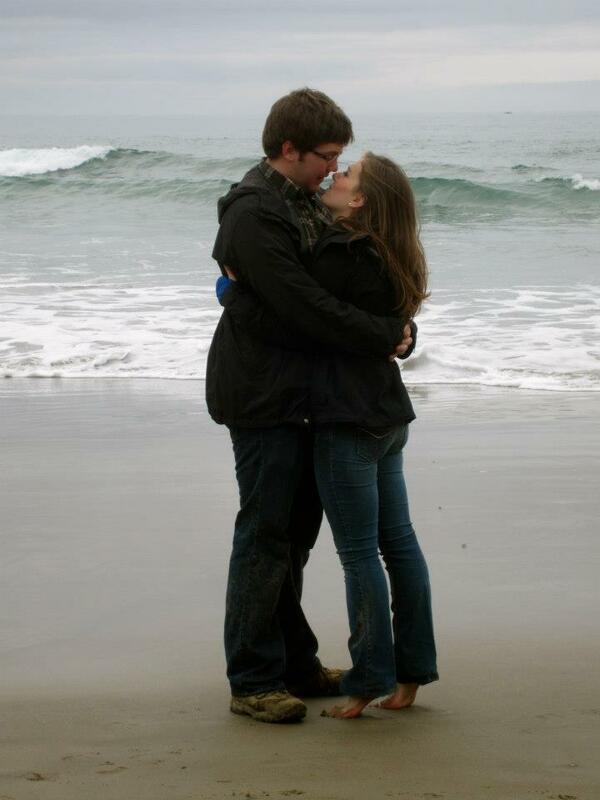 Borrowing mismatched frames from family, we printed pictures highlighting significant moments while we were dating. 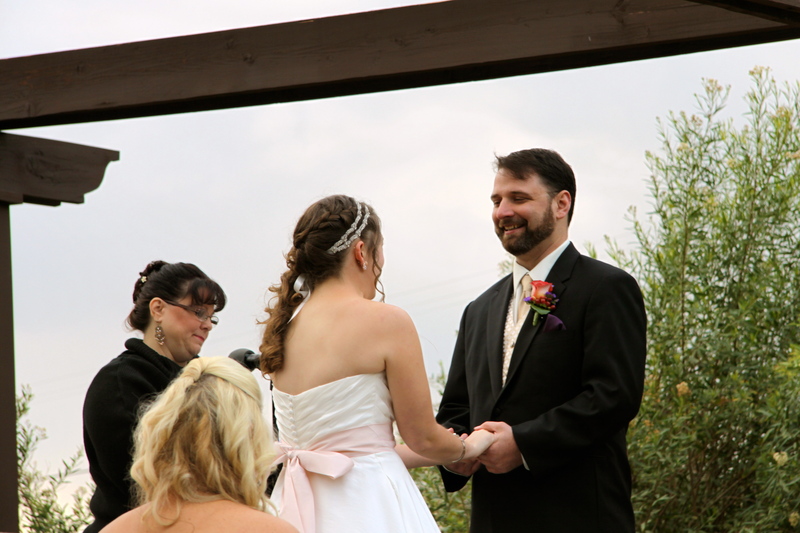 Moments that display our interests, values, and the type of events that marked our relationship. 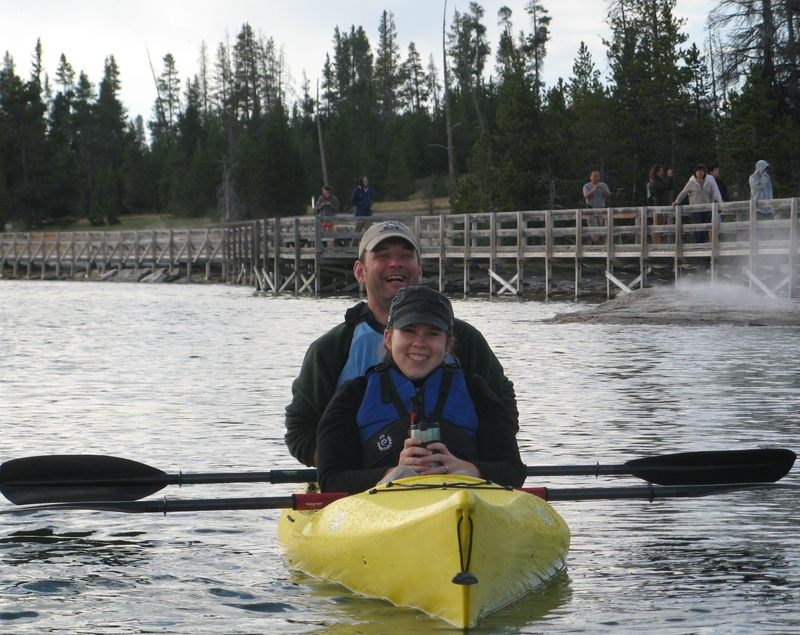 Such as a picture of us on a morning kayak venture on Yellowstone Lake, or a snapshot from our MA graduation. Pictures as simple as these showed guests our love for being outdoors and time with our families or our how we shared in celebrating and encouraging each other’s personal goals and accomplishments. For those guests who didn’t know our story well (or knew only one of us) these pictures provided an opportunity to glimpse into our relationship and personalities. 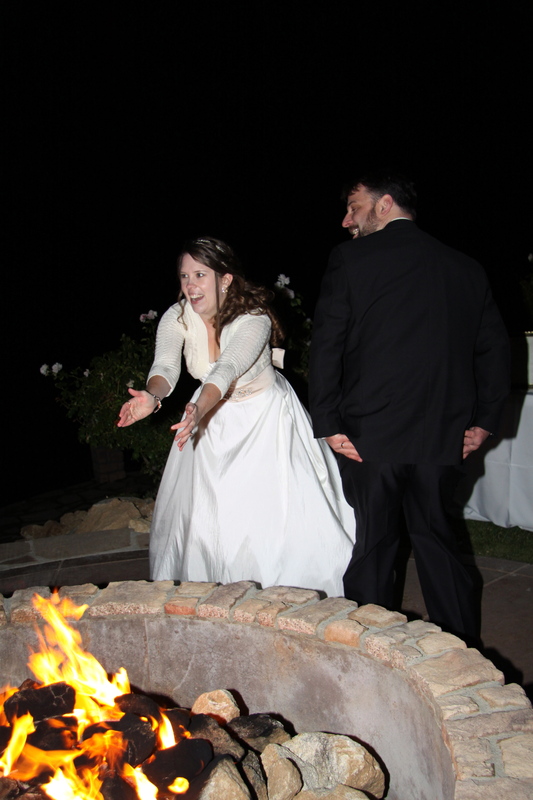 Our wedding venue had an outdoor fireplace with a natural stone mantel perfect for placing these snapshots where guests could notice them as they warmed up by the fire. 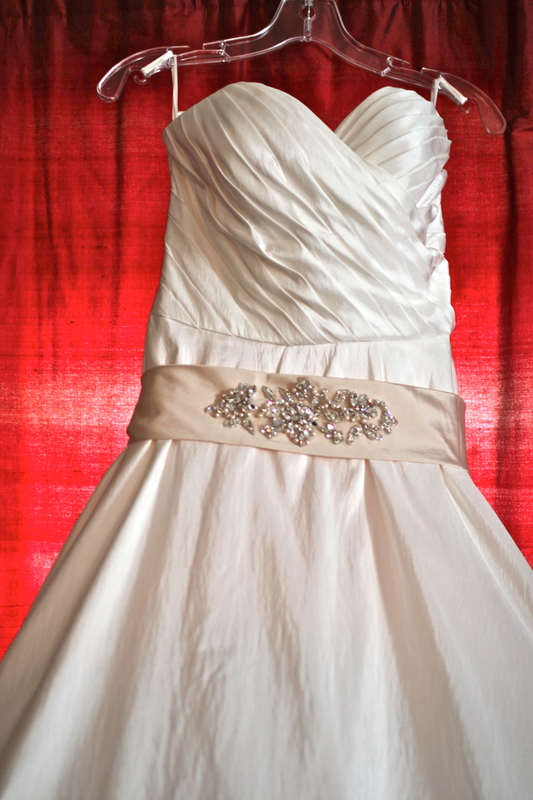 Heirlooms are valued items or memories passed down from one generation to another. For us this is not confined to physical trinkets. 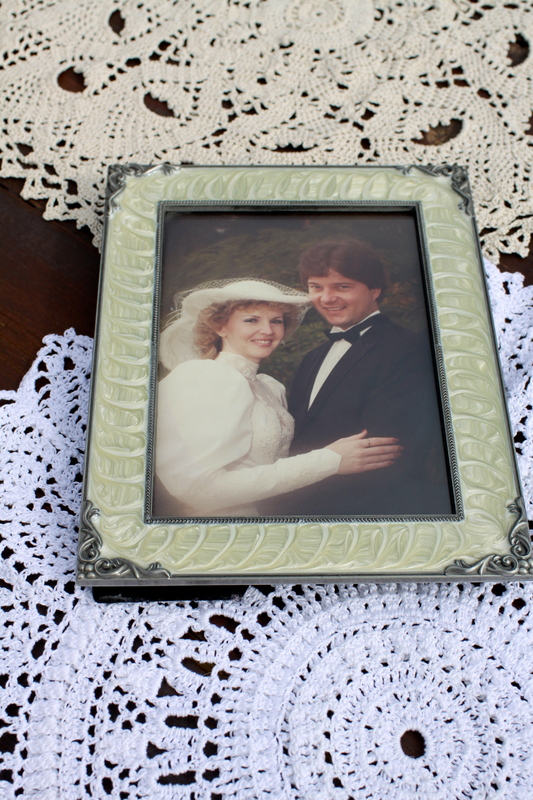 I requested a framed picture from Luke’s parent’s wedding, collected one from my parents as well, then placed both on either side of an engagement photo of Luke and I on the guest book table. 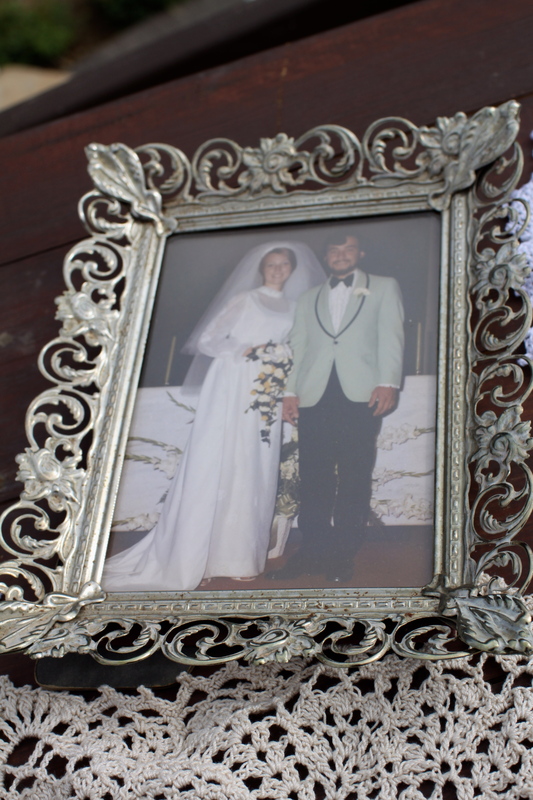 These pictures signified and celebrated a great heirloom passed down to us: strong marriages; a relational heritage we plan on continuing. 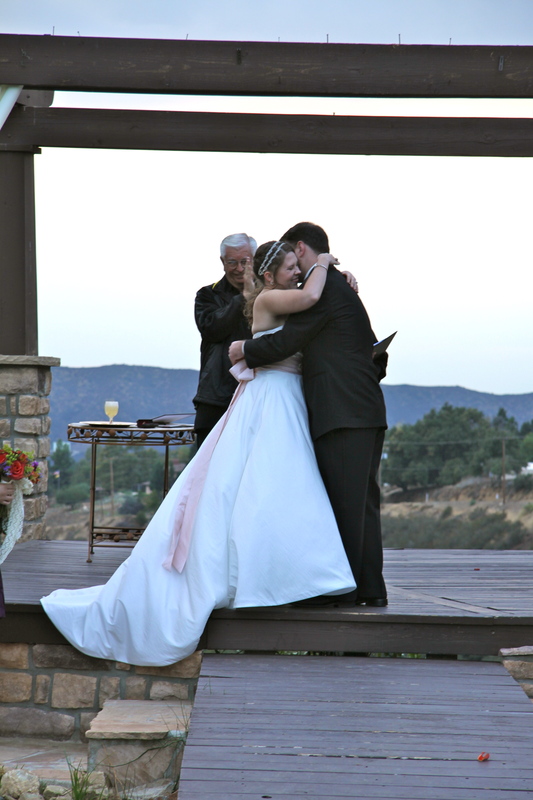 To guests viewing this memories it was clear: Luke and I valued our wedding day as the celebration of two families permanently becoming one with our marriage. 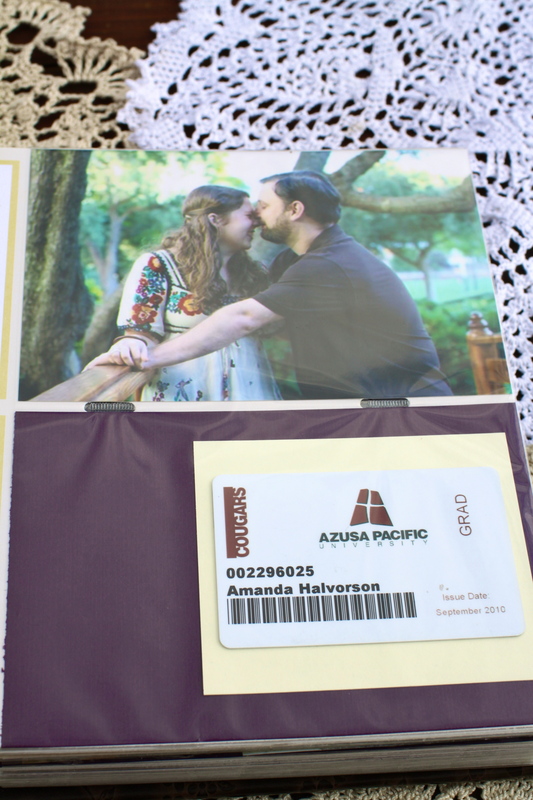 I gave my maid of honor, a talented scrapbooker, creative license to make my guest book. 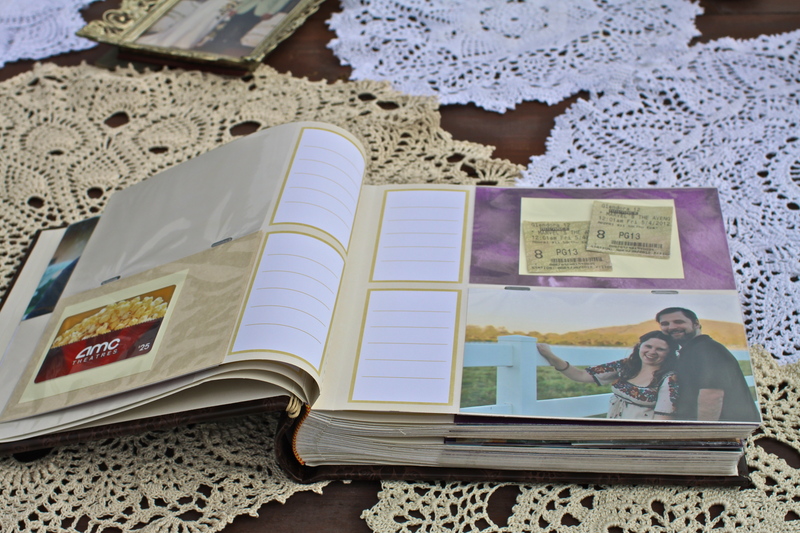 She bought a picture album and filled it with engagement shoot snapshots. When I told Luke about this he came to me with an additional idea. Handing me an old hiking boot box (the contents of which he had been keeping a secret), he told me he thought it (whatever it was) might be helpful for the scrap/guestbook. 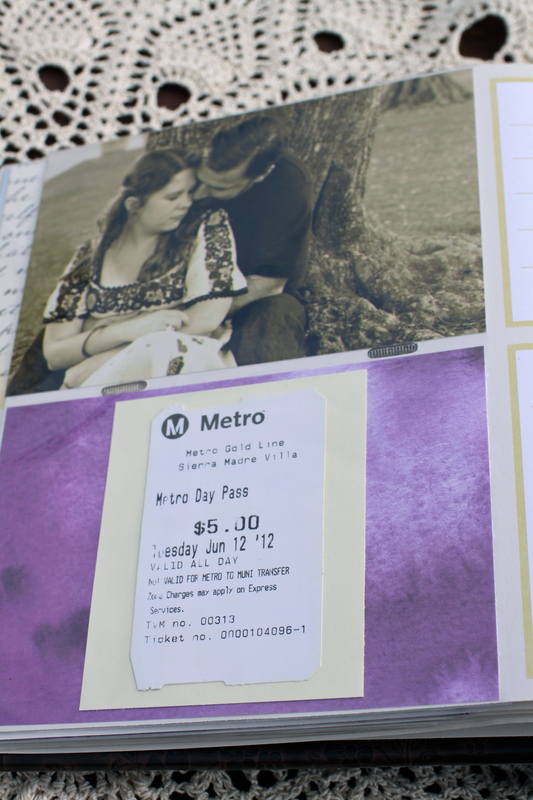 My mom and I were shocked when we opened it to find concert tickets, our school ID cards, amusement park passes, movie stubs, and metro passes memorabilia present from our first date to the weekend we got engaged. 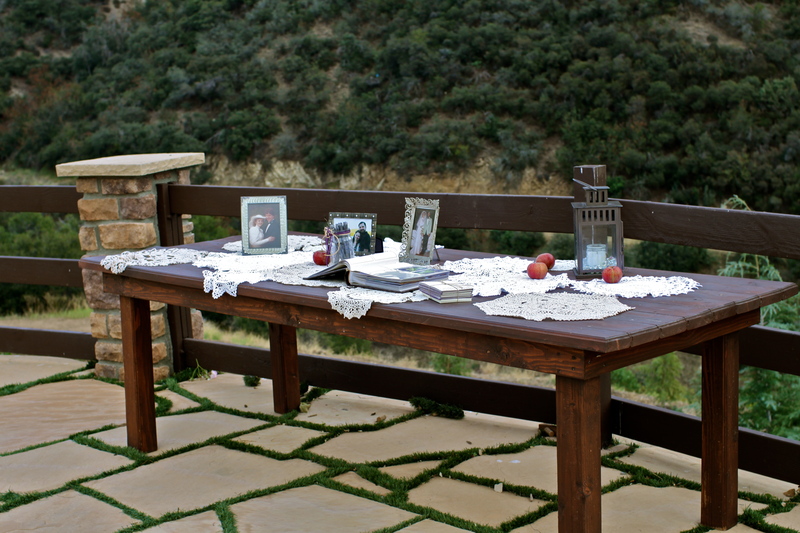 So while the bridal party was doing their photo shoot, guests wandering the terrace took cards and pens from a mason jar and wrote personal well wishes to Luke and I, which later were fitted into the spare photo sleeve slots. 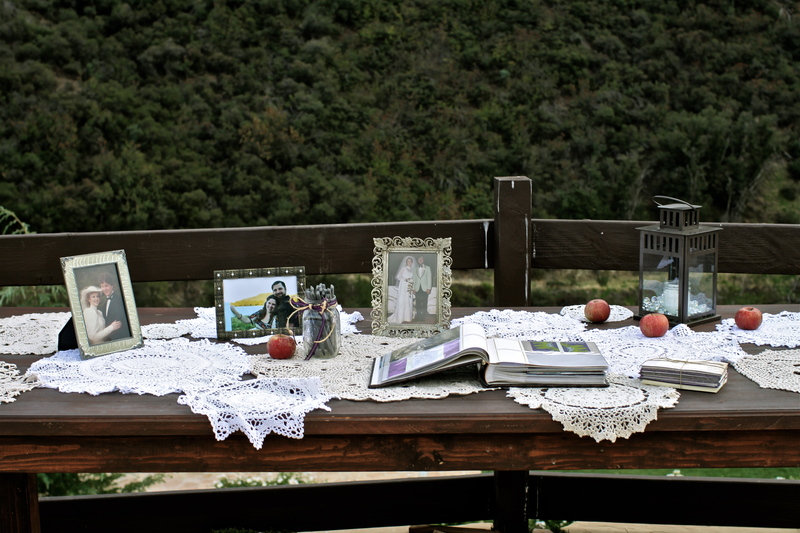 As they wrote, guests flipped through pictures from our engagement shoot and saw glimpses into our dating life. 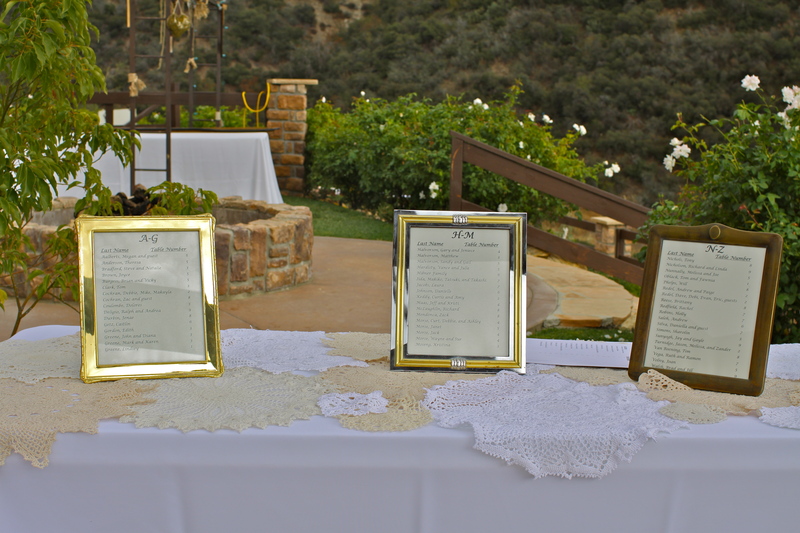 Since heritage and pictures were central to our wedding, we continued the framed theme throughout the reception space. 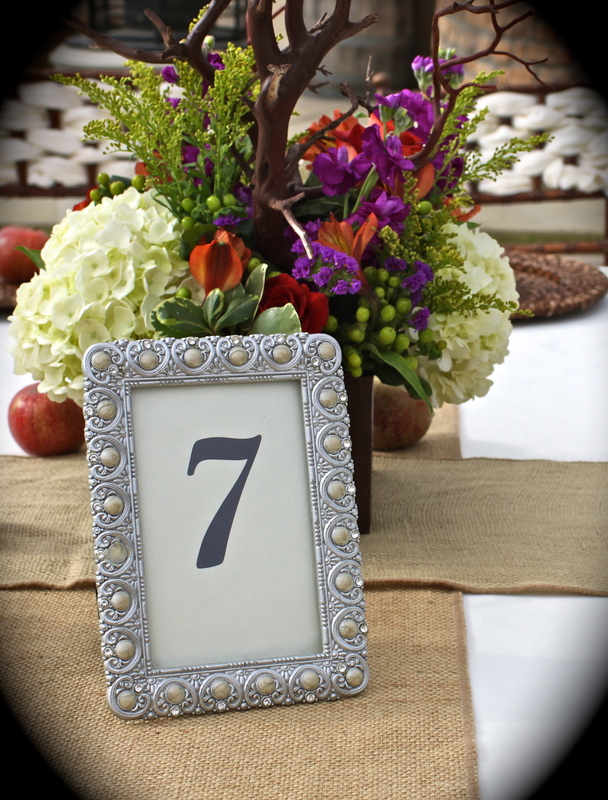 This included the table numbers, favor dessert bar instructions, and the guest seating chart table, all displayed in an eclectic collection of vintage frames. 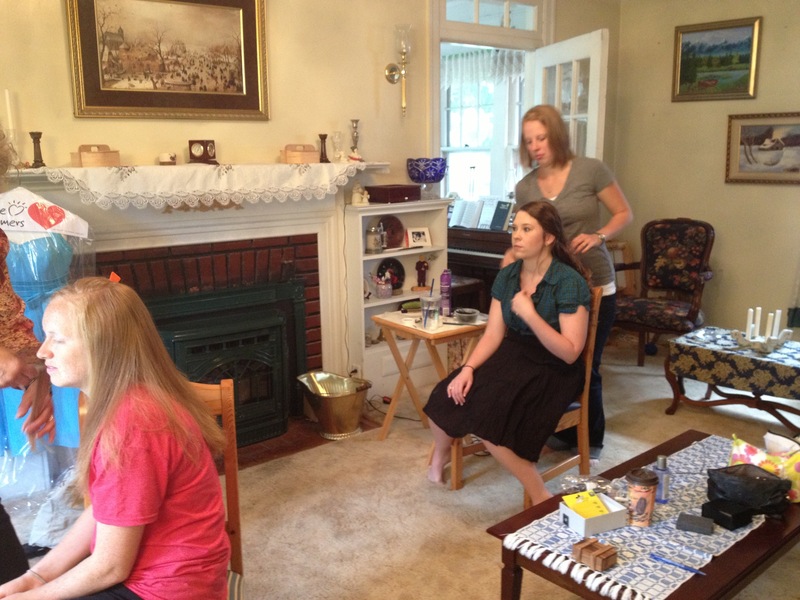 In other blog posts I have highlighted my families personal talents such as: upholstery see sleep after marriage . . . , woodworking see happy father’s day, and quilting see happy mother’s day . In addition to these hobbies my mother also avidly crochets. 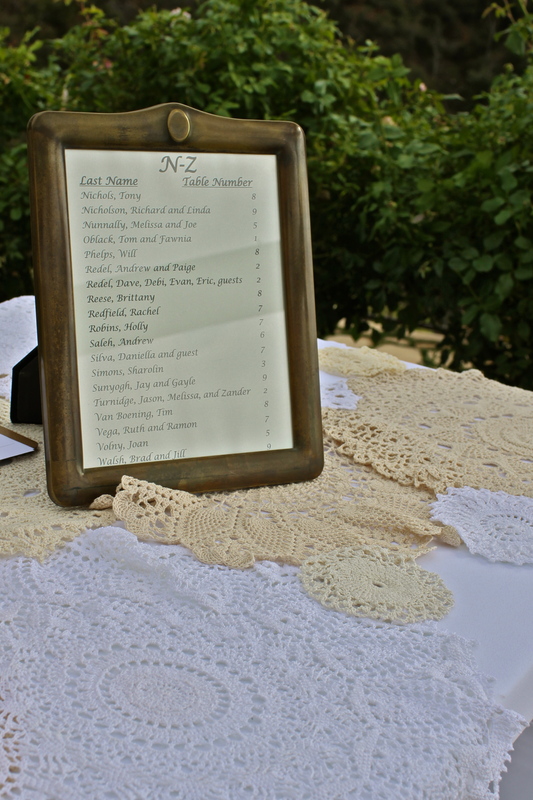 So to highlight my mom’s work, like you would in your own home, we made crochet doily runners for the guest book table, the guest seating chart table, and welcome/gift/program table. 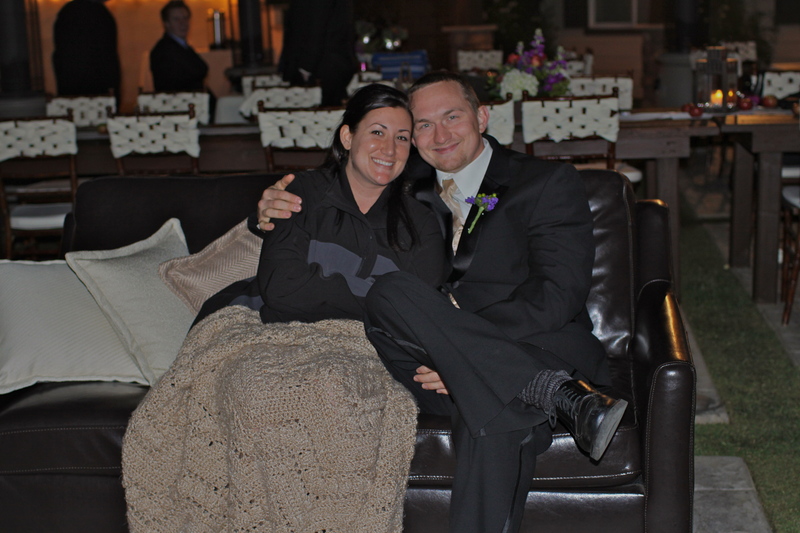 The venue also provided us with a few comfy couches facing the dance floor. 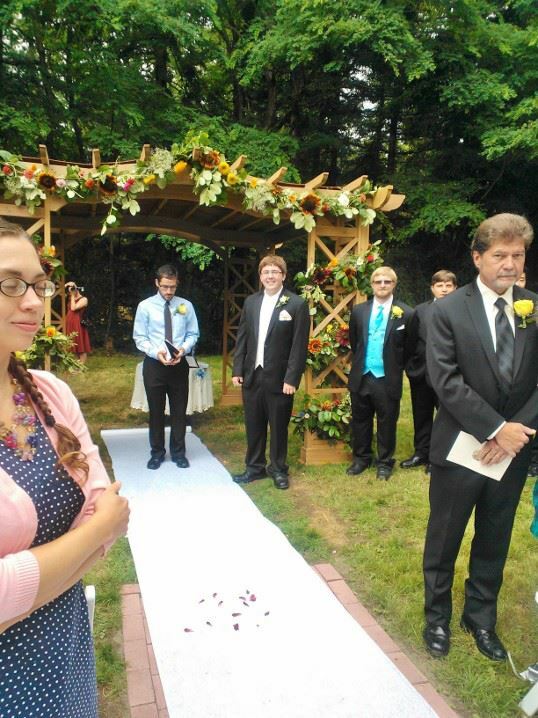 To personalize the space I asked my mom to bring two of her homemade crocheted afghans to the wedding. She topped this off by making some neutral toned pillows. Between the pillows and blankets these couches were very popular lounging spots for guests to cuddle up on during the crisp fall night reception. Being surrounded by items familiar to me on such an important yet stressful day provided me with confidence and a peace reminding me I was surrounded by a great collection of family and friends who cared about me and about us as a couple. 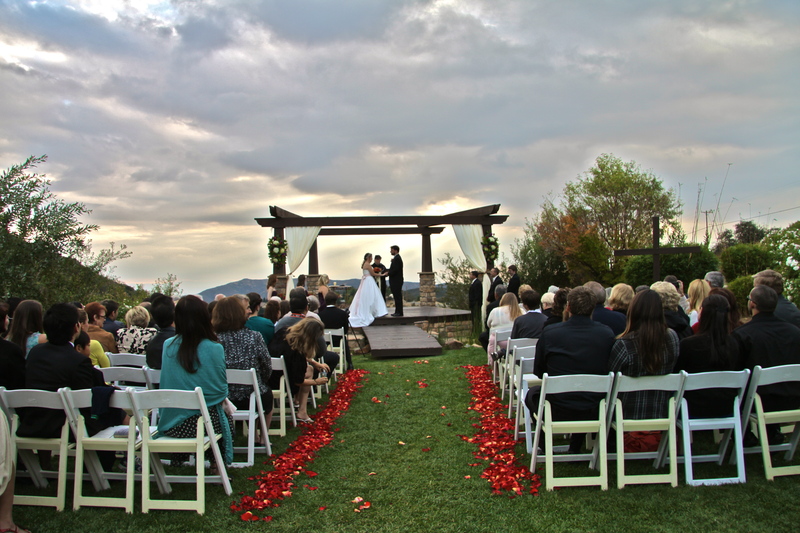 If you are wanting to make your wedding venue comfortable and welcoming think about your hobbies, talents, interests, values, personality, or interests. What physical objects or pictures could say better than words these concepts to your friends and family? 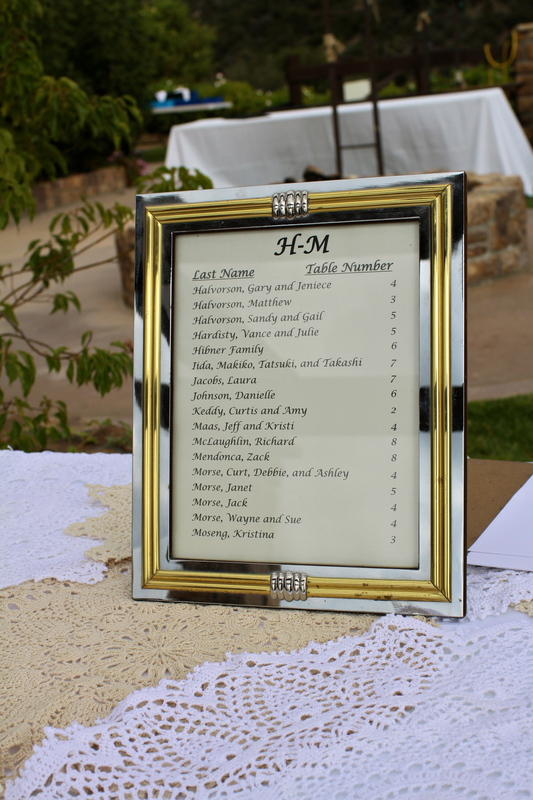 These small items are usually not expensive and although they may require digging up an old photo, visiting an old candy shop, antique store, or digging a box out of the attic they may help make your venue feel like home on your special day. Wow it’s been 6 months!!! Wow! 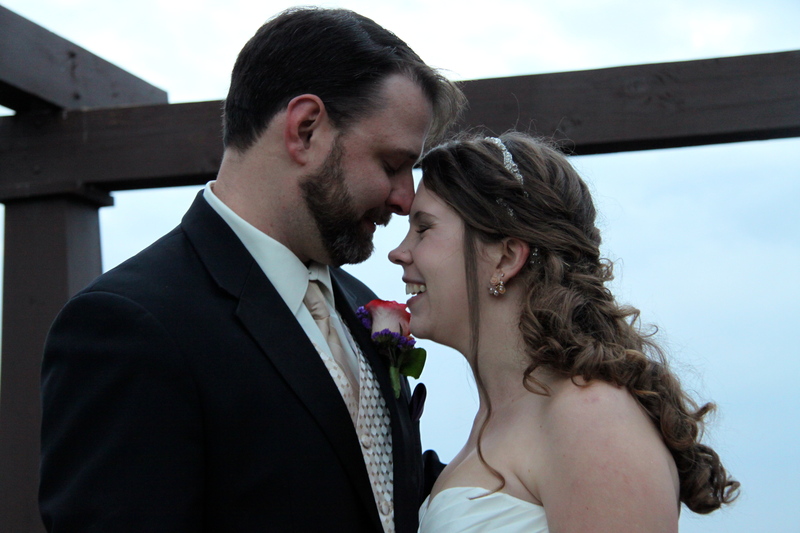 It’s hard to believe it: 6 months ago today Luke and I said “I do”! We didn’t know that less than a month later we’d be on our way to a new life in NY. It’s been a crazy half/year of changes, challenges, and growth but I wouldn’t change it for the world!! 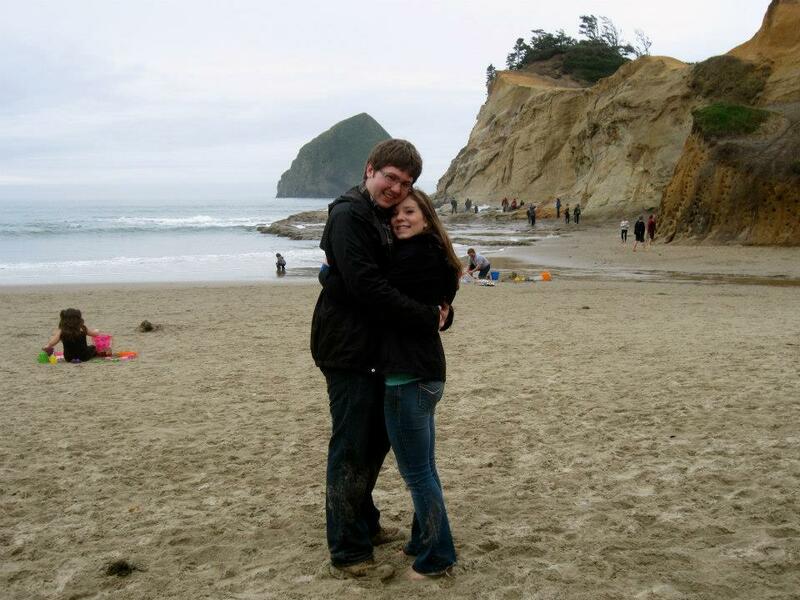 I’m looking forward to what the next six months has to hold and to celebrating our first year of marriage in the fall! !